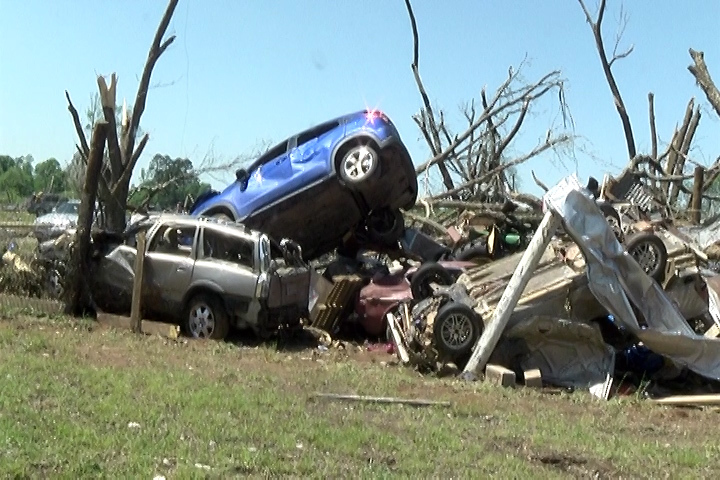 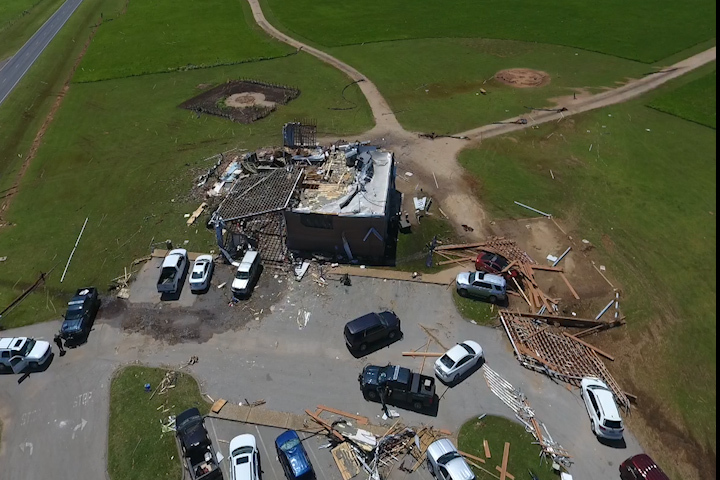 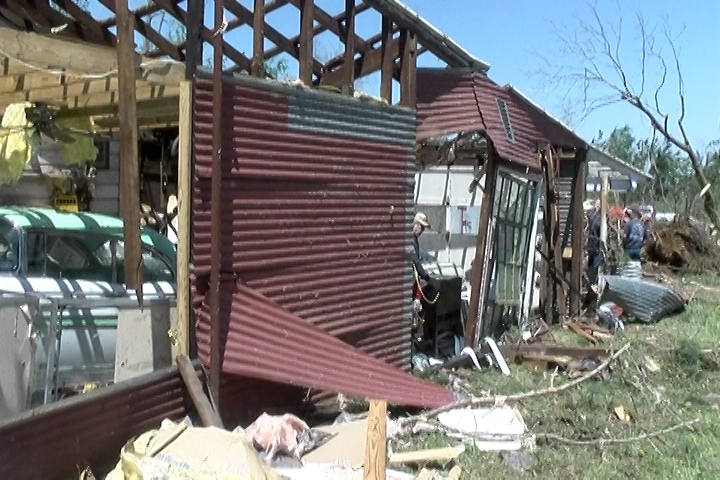 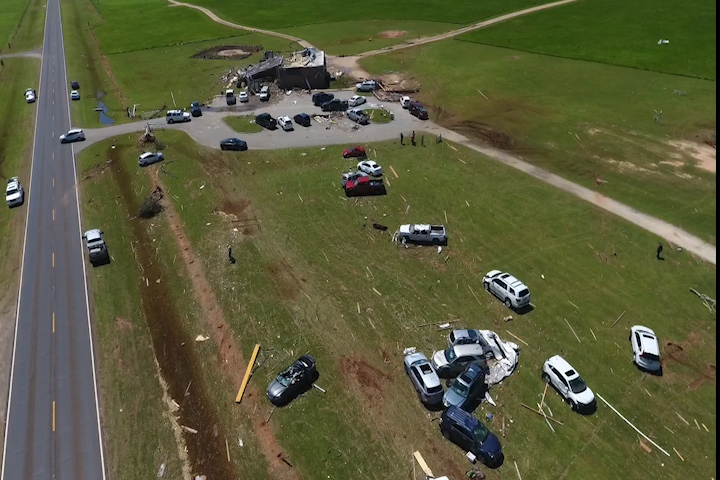 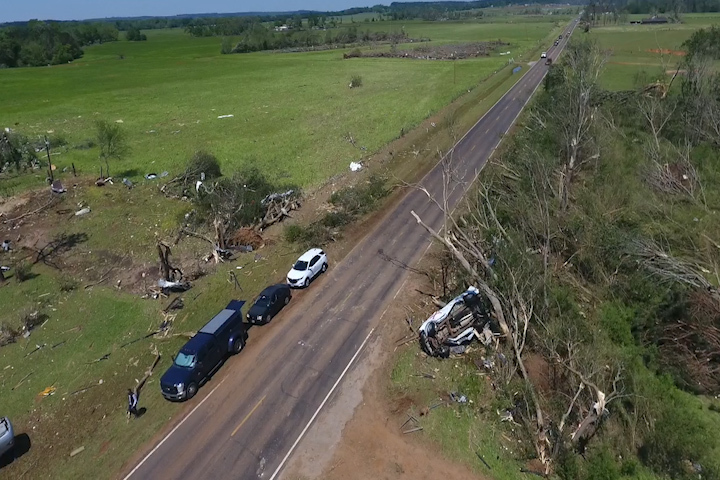 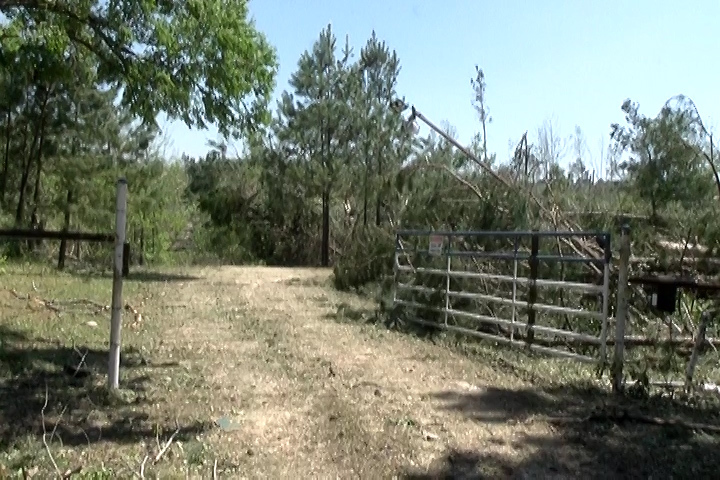 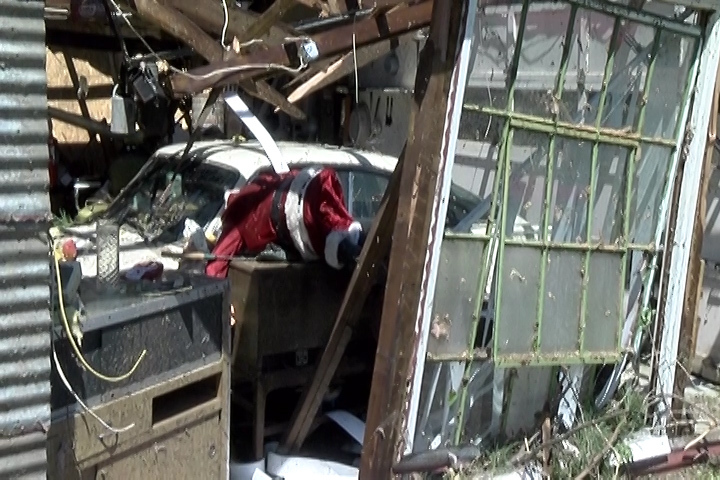 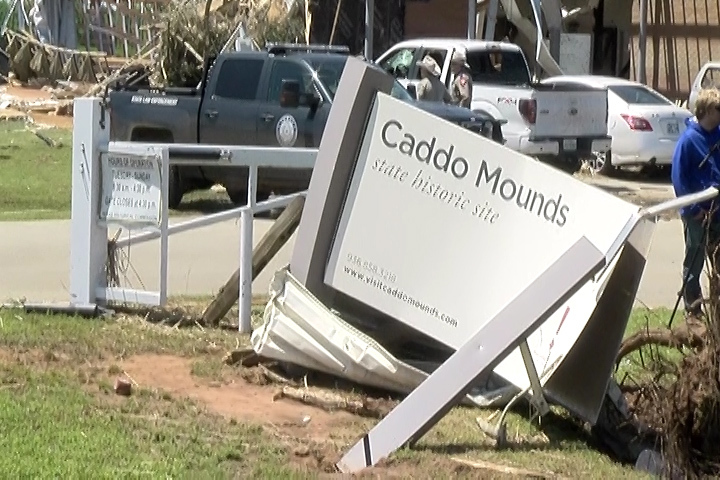 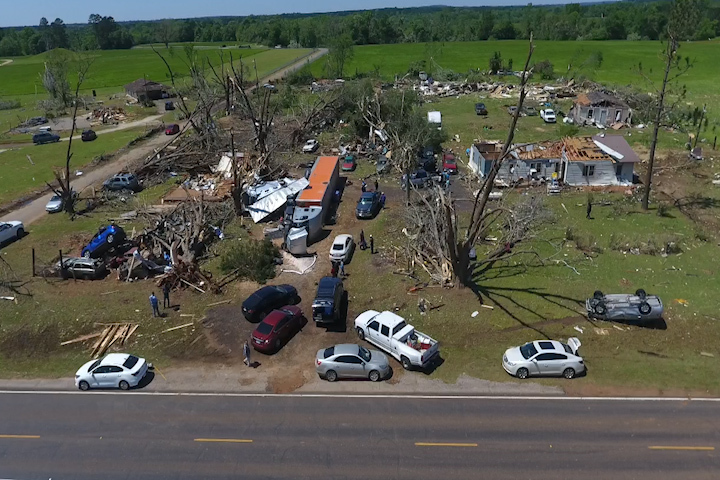 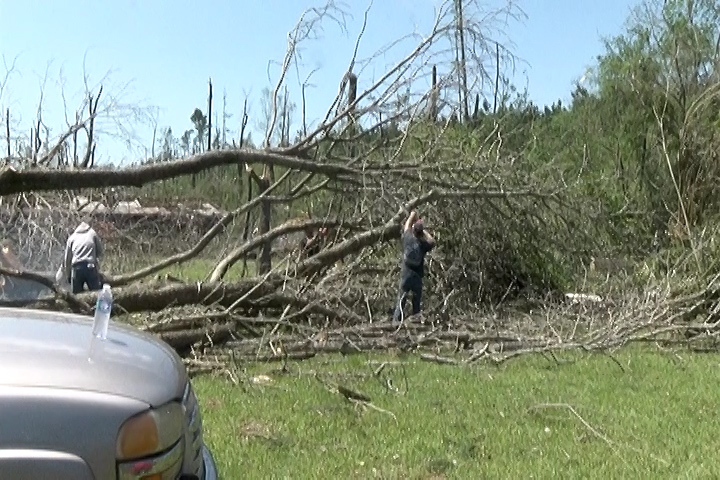 Early Saturday afternoon at least three tornados ripped through East Texas. 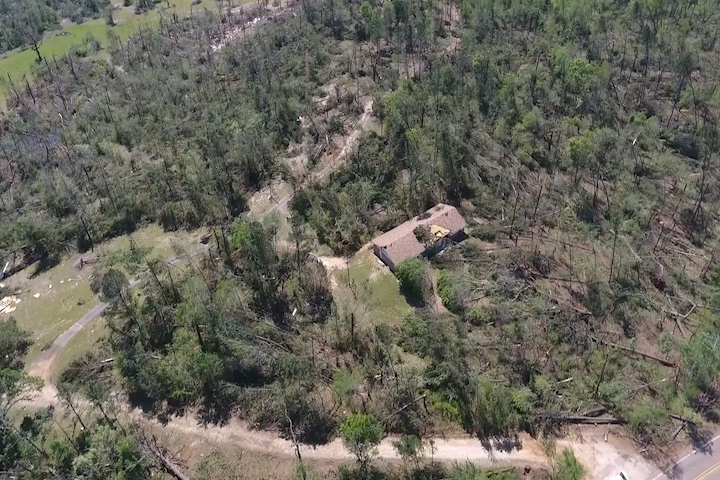 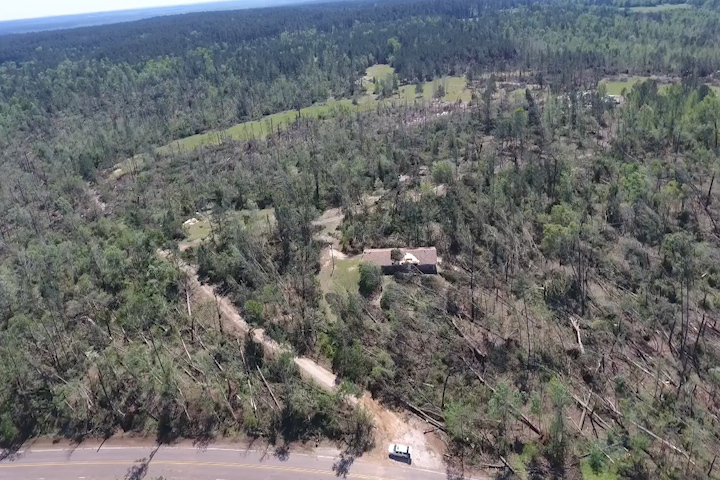 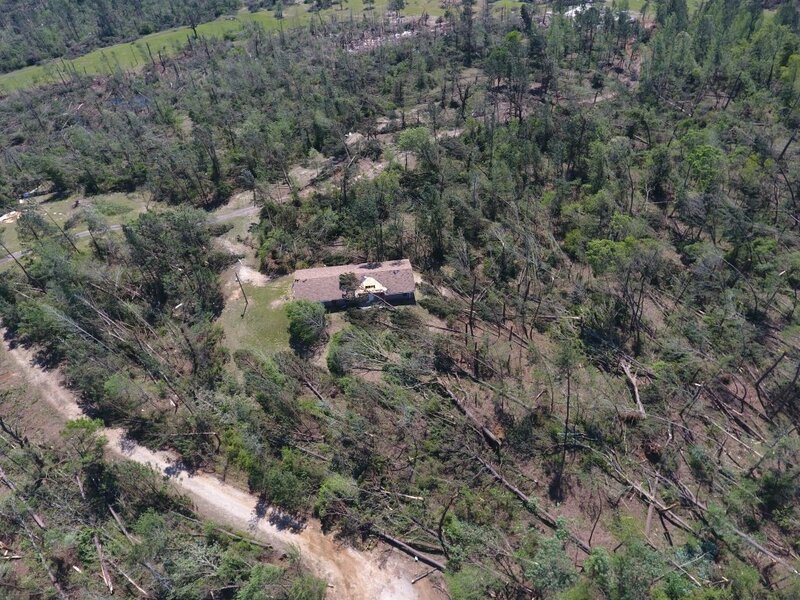 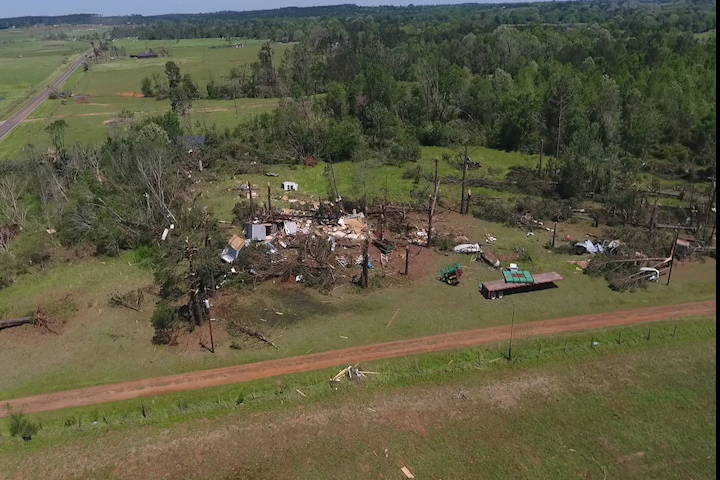 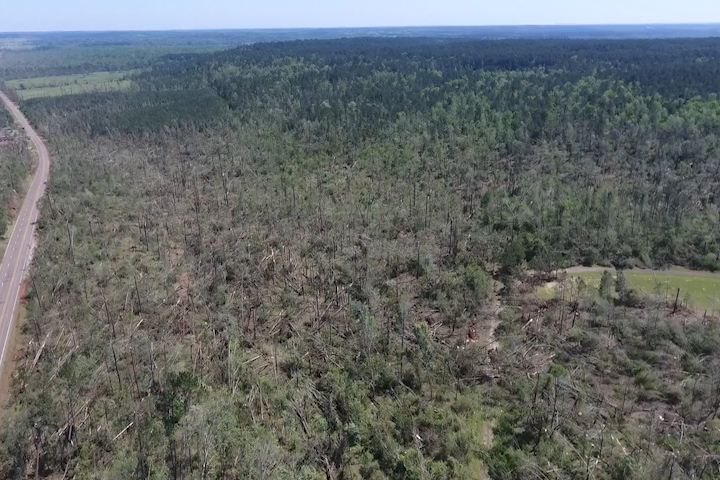 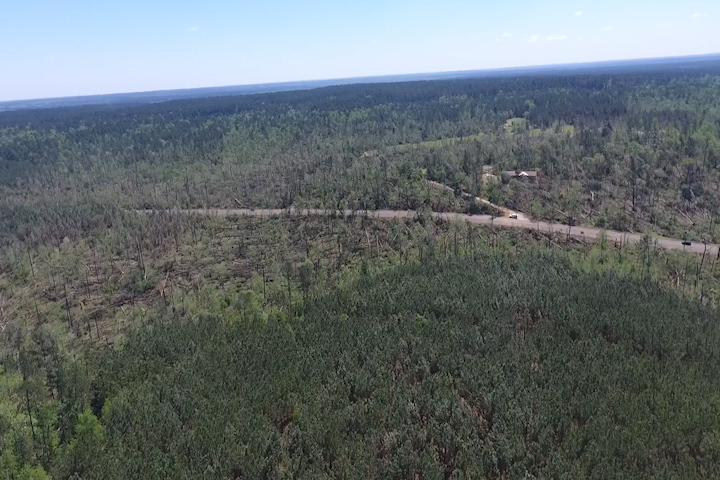 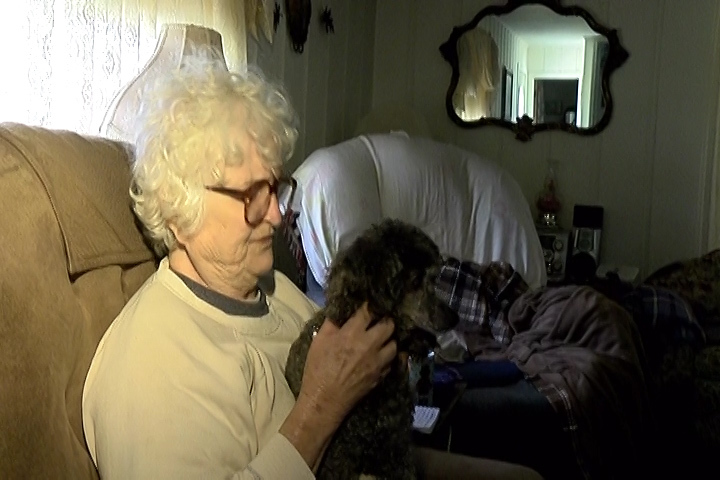 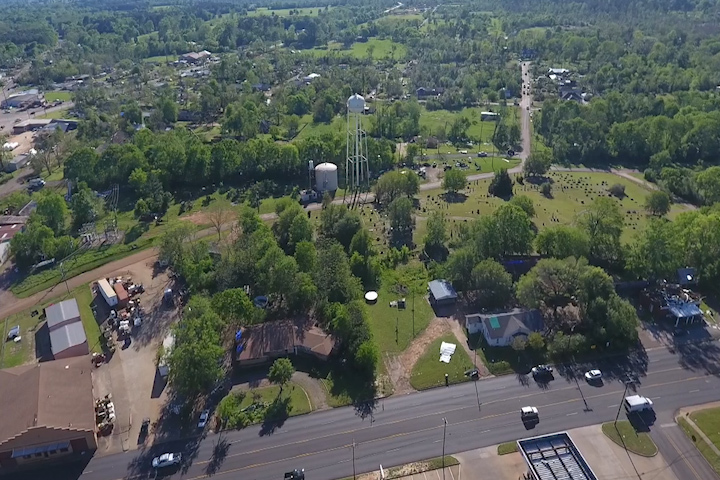 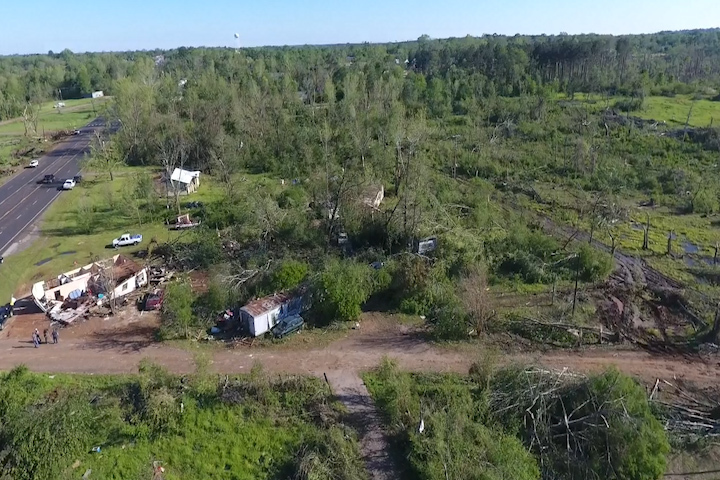 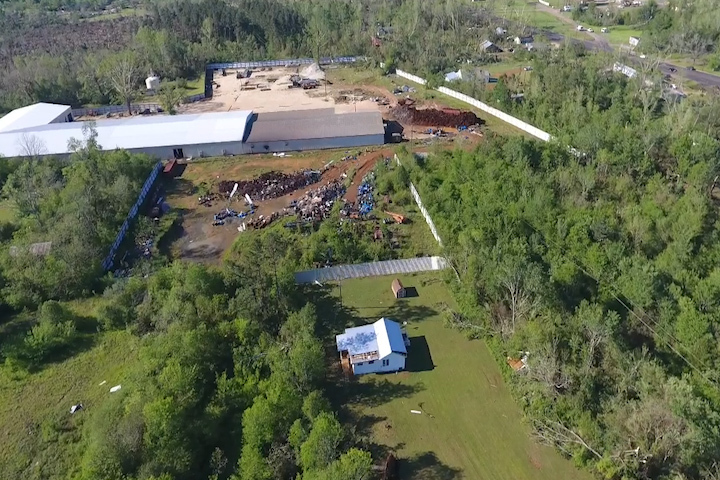 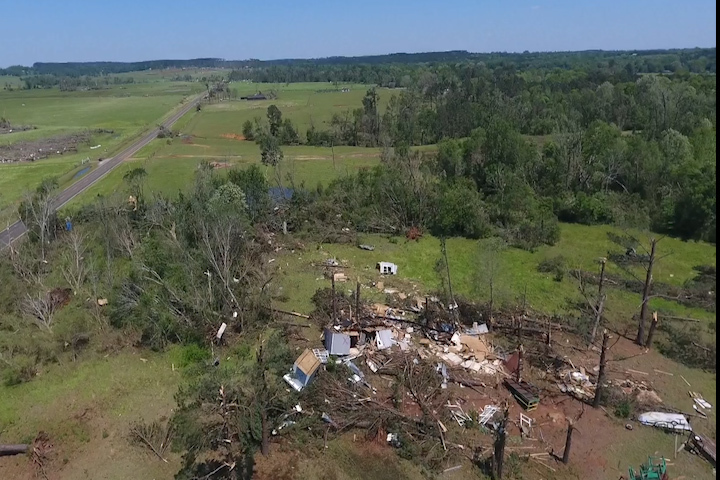 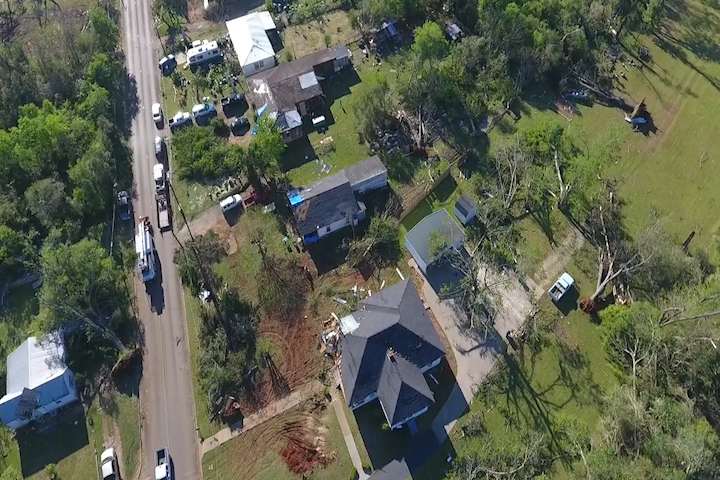 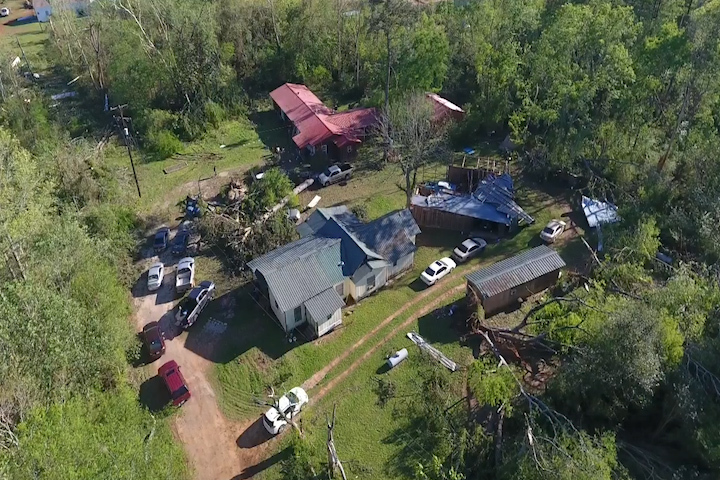 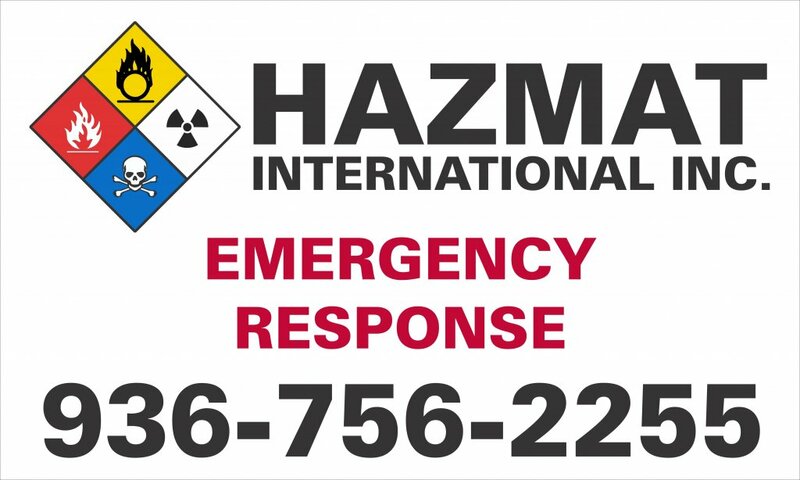 Houston County suffered heavy damage and one death when a woman whose home was destroyed was found in a wooded area, deceased with her poodle at her side still alive. 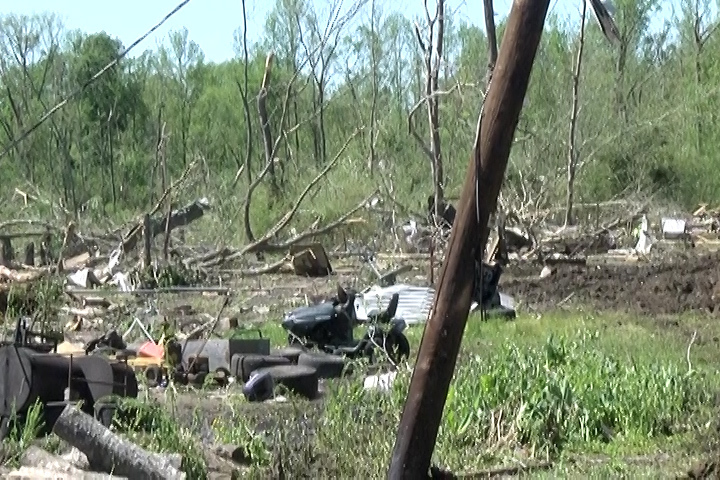 The area across from her property looked has it had been clear cut by the tornado. 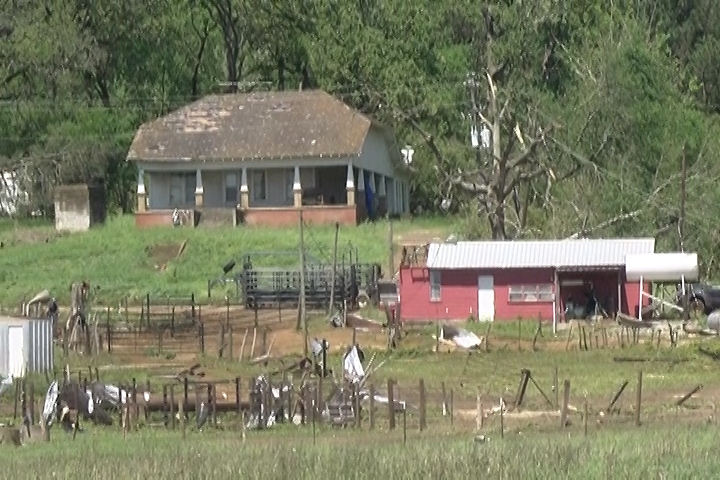 Just east of there and across the river was Mounds State Historic site. 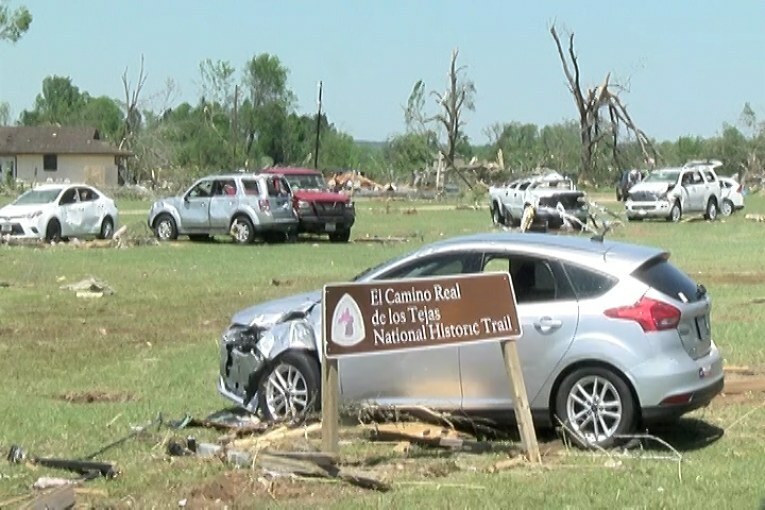 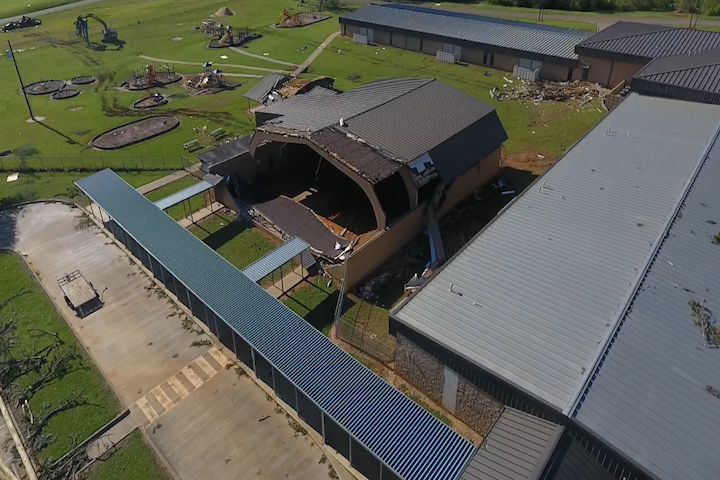 With a Native American Cultural Event taking place close to 100 were attending when the tornado went right through the event center. 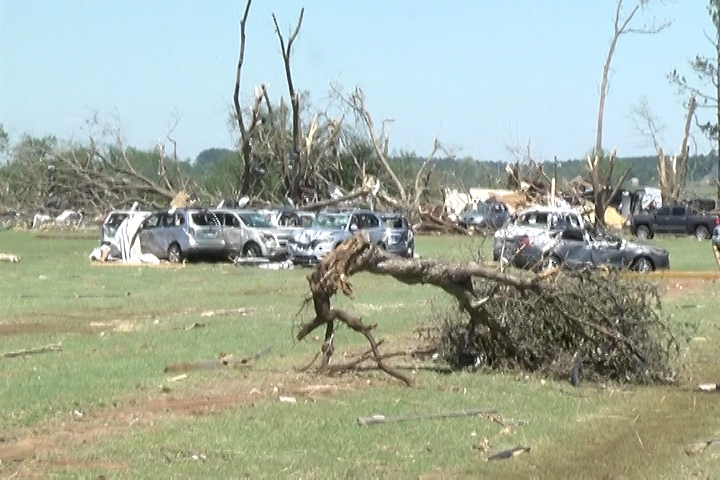 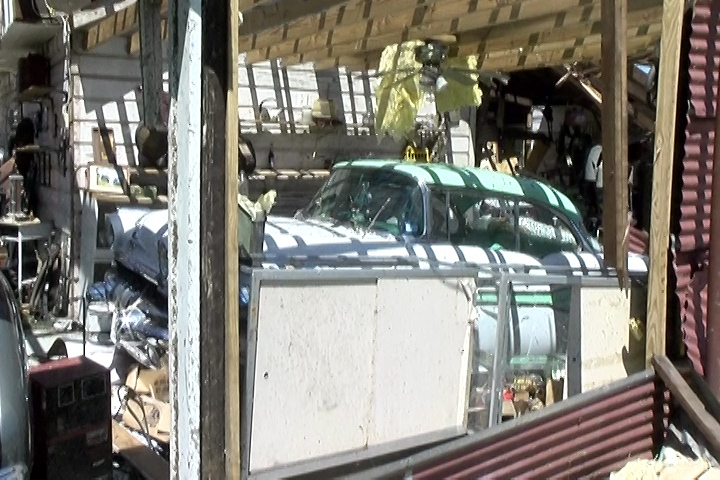 Dozens were injured, at least eight people were flown out with critical injuries. 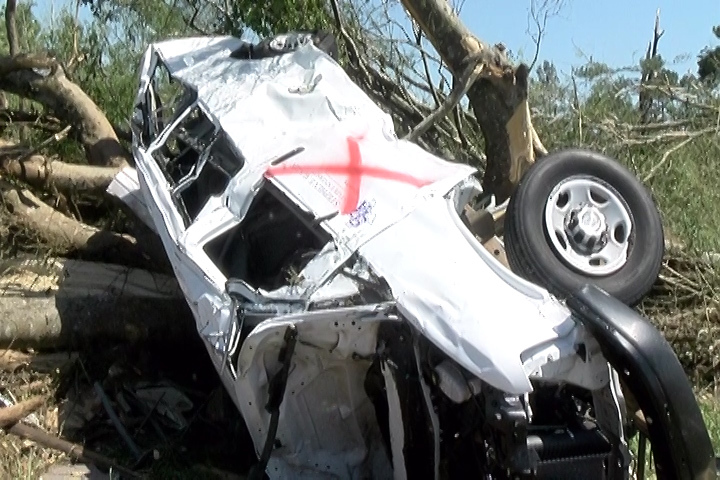 One of those died Sunday morning of her injuries. 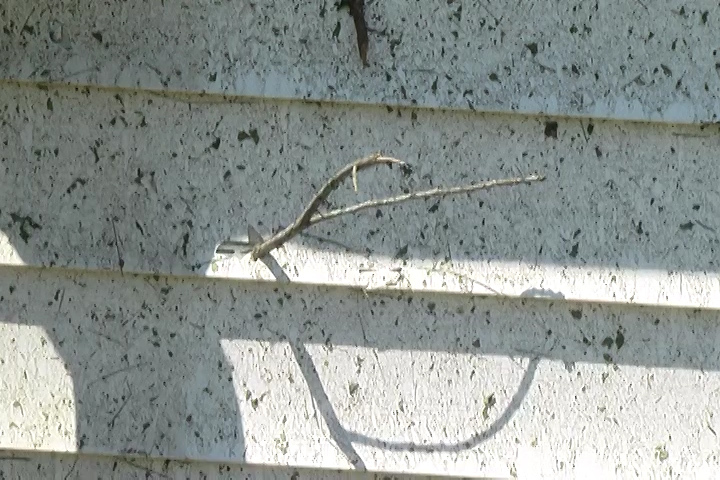 Another man suffers a broken back. 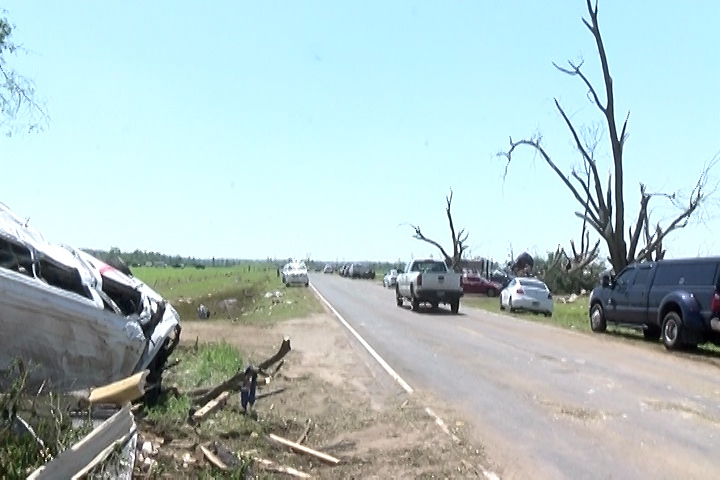 Many others were treated for various injuries. 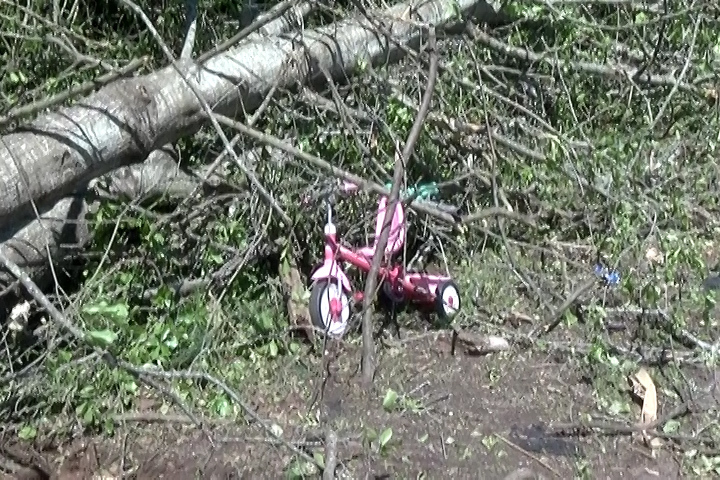 Vehicle in the parking lot was scattered like toys. 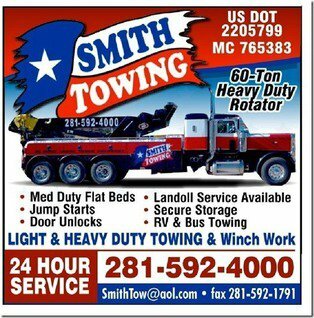 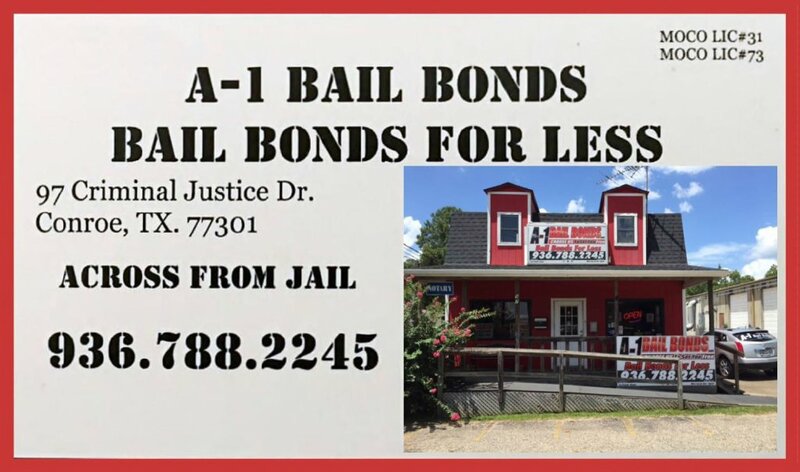 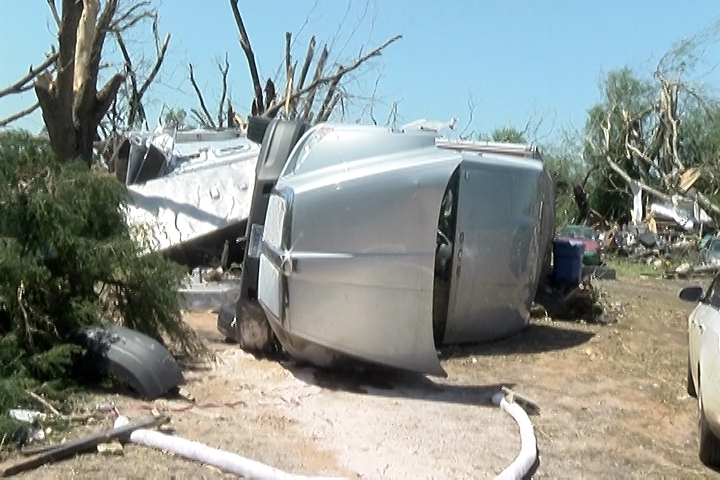 A Stephen F. Austin College passenger van was picked up and deposited across the road. 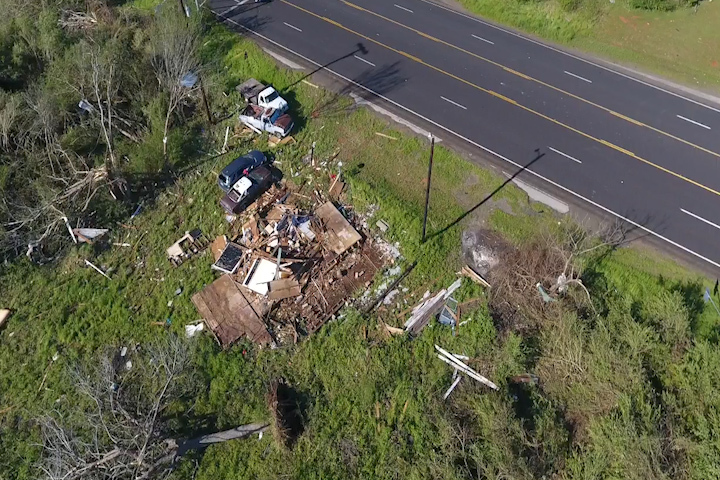 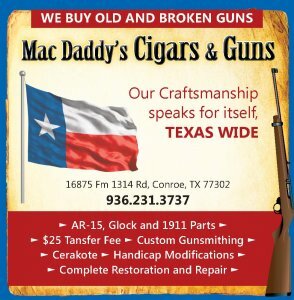 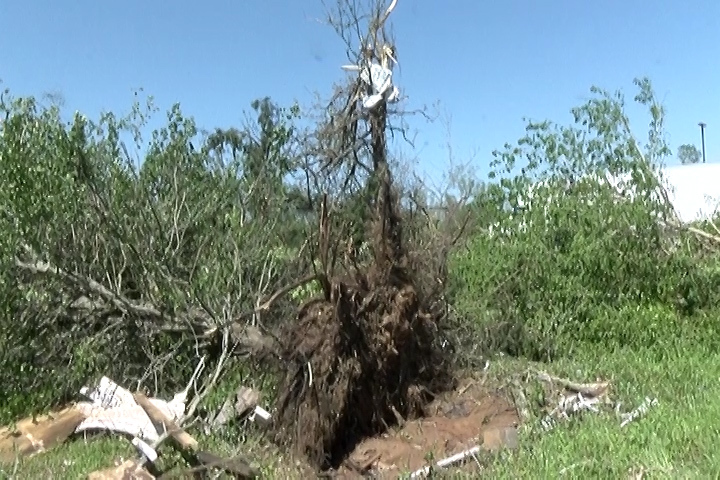 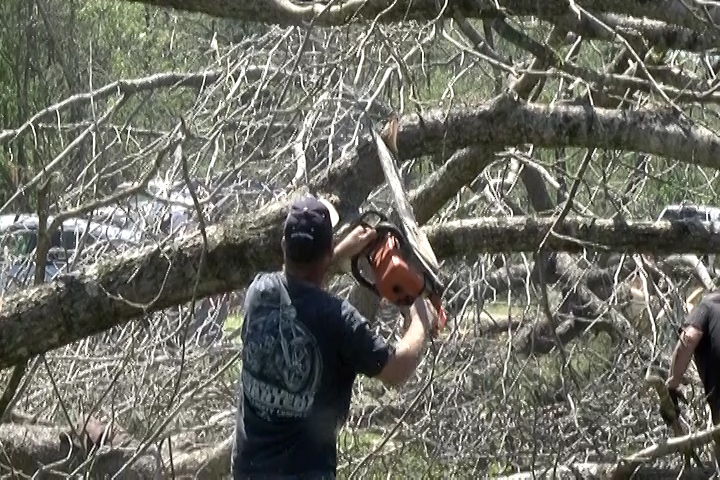 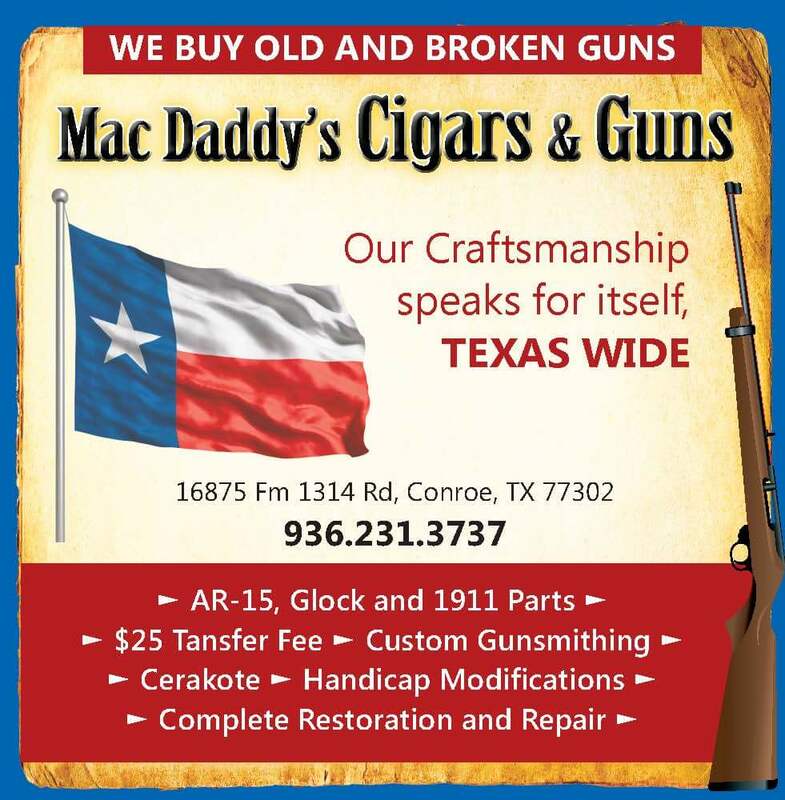 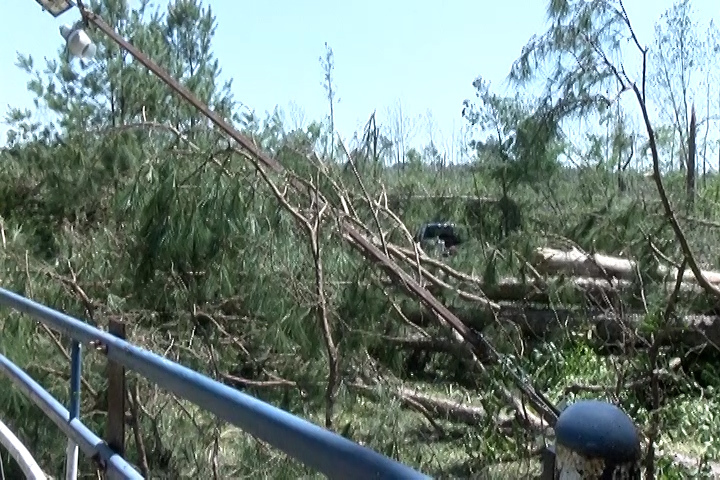 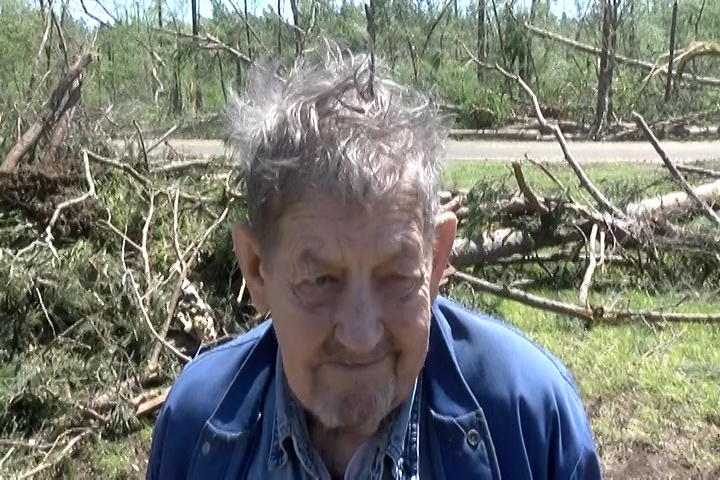 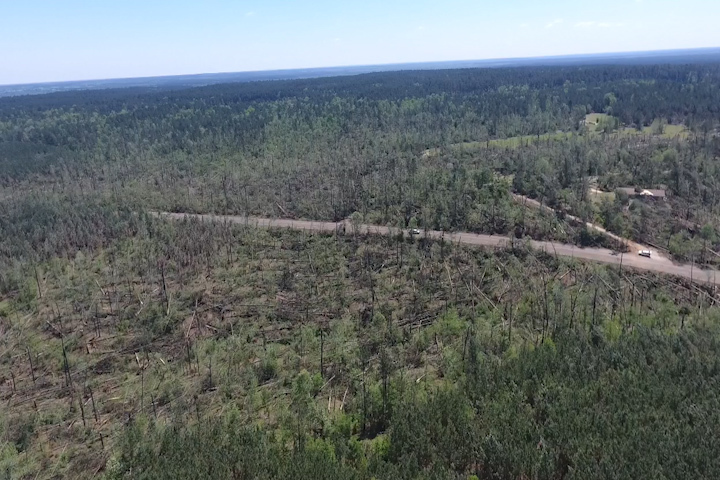 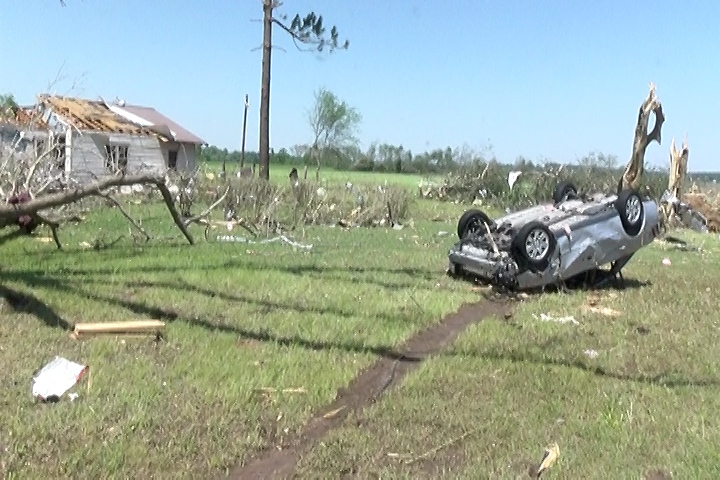 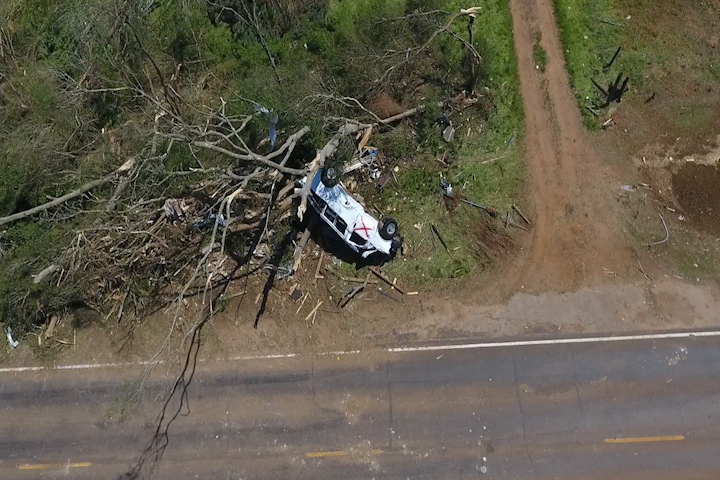 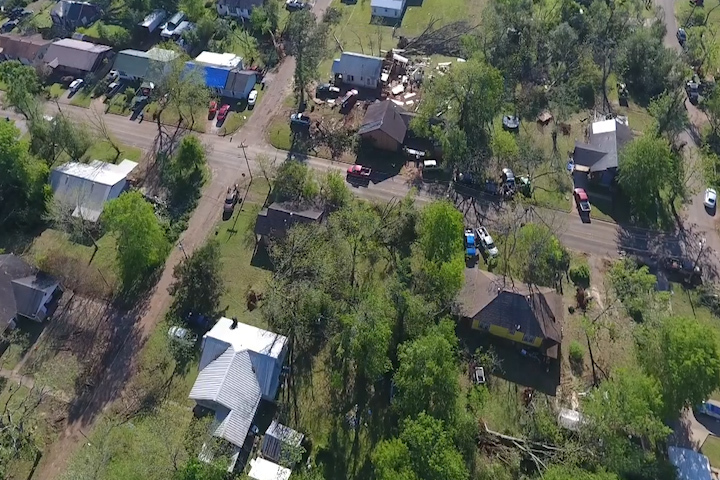 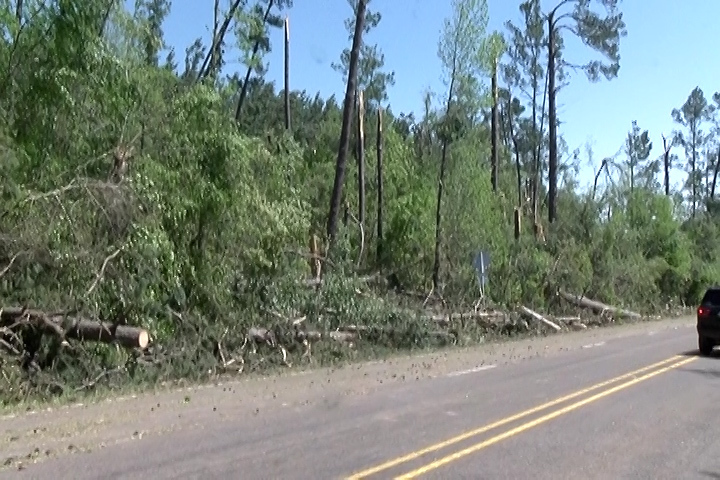 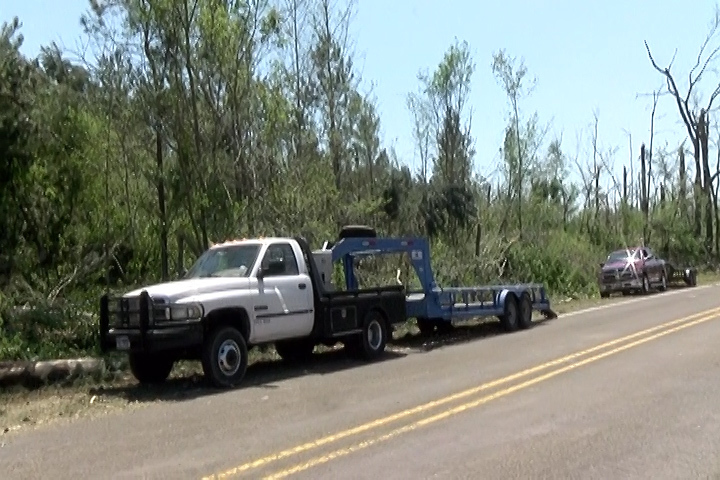 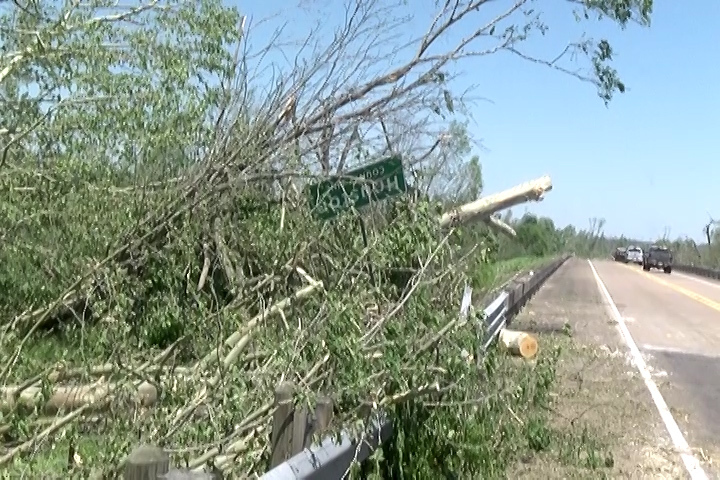 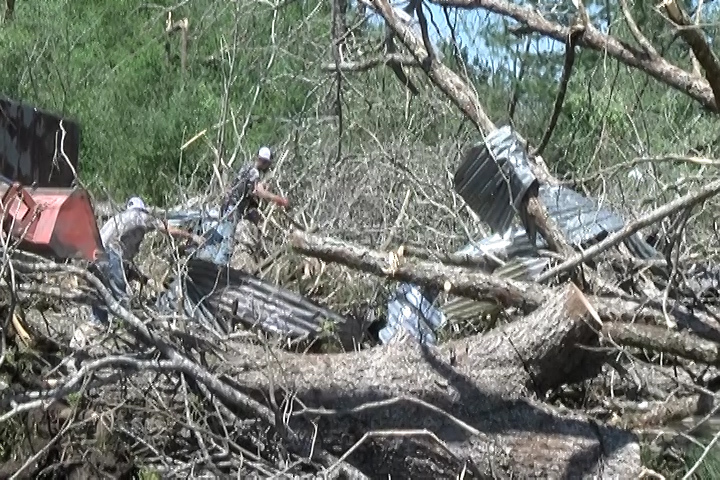 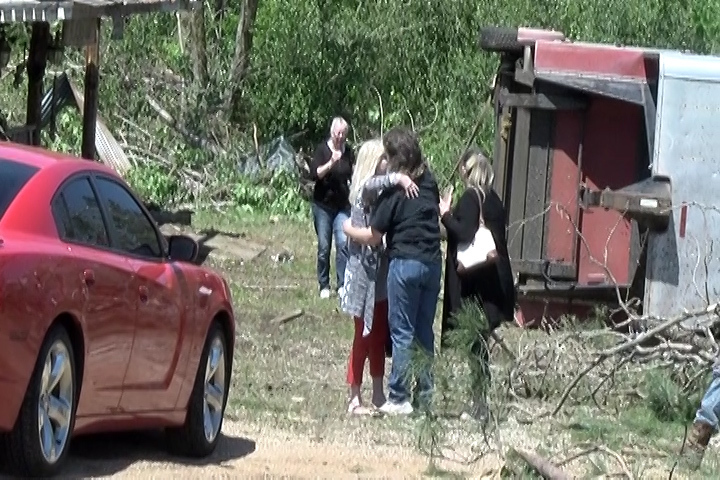 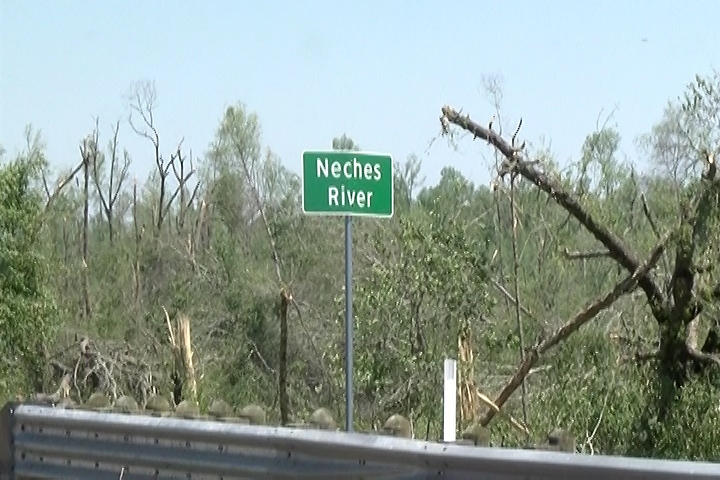 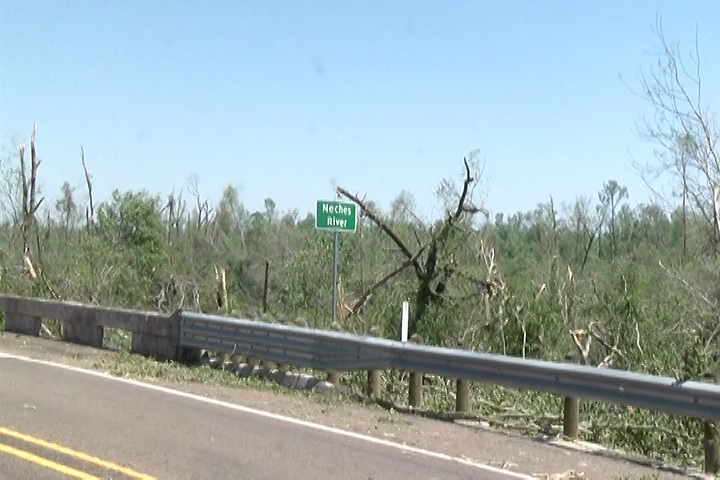 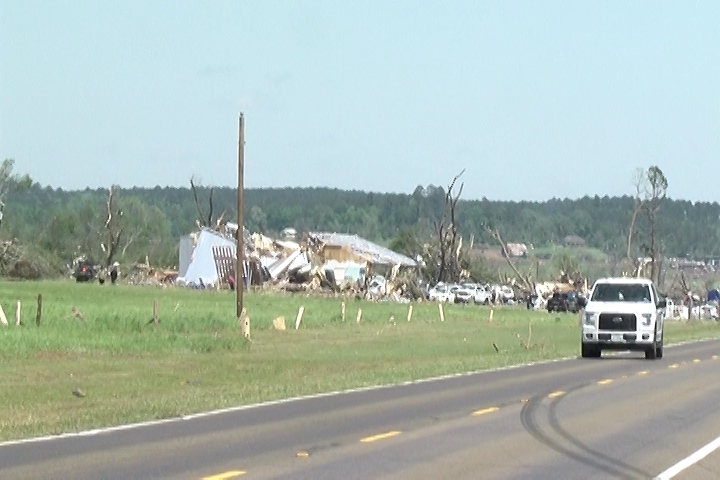 Then in Angelina County, two children who were family members of a Cherokee County Deputy were riding with their parents near the town of Pollok when a tree fell on the vehicle. 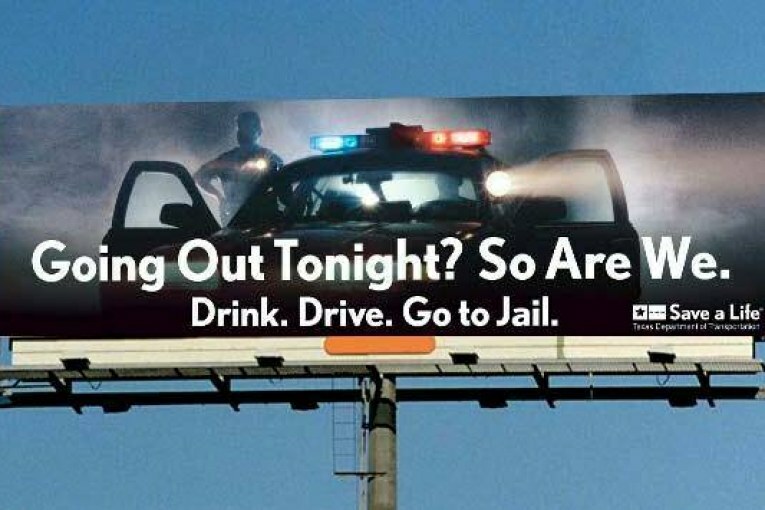 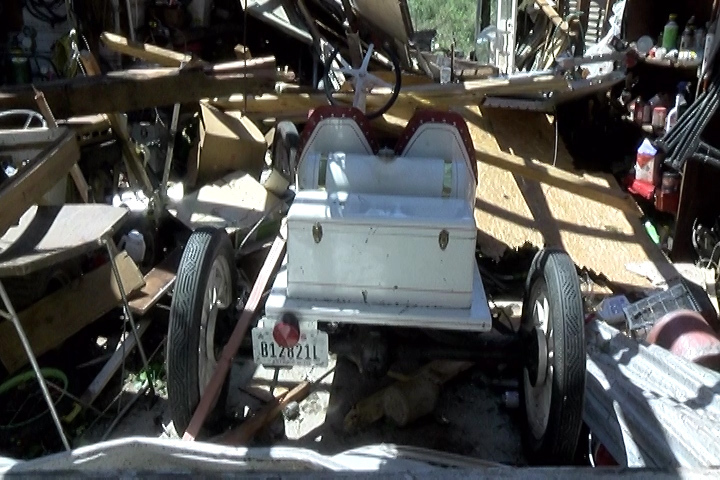 The parents were in the front seat, the children ages 3 and 8 were in the back seat. 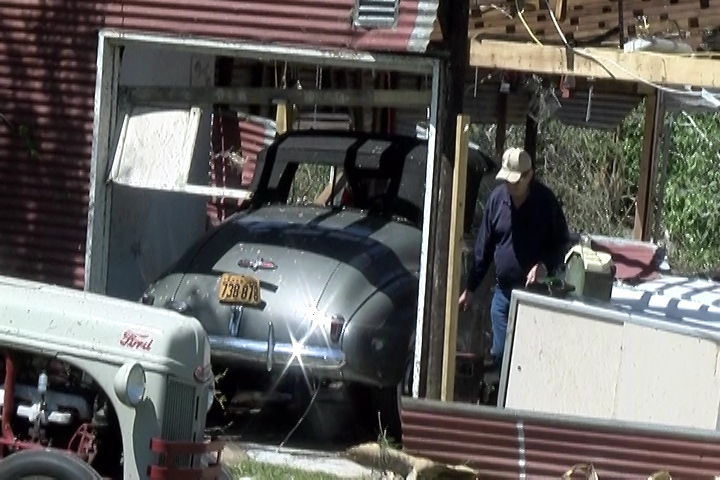 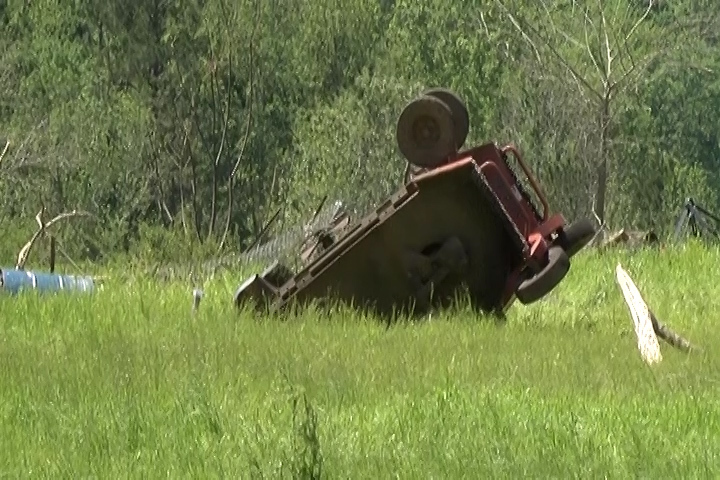 The Sheriff said the car was crushed like a pancake. 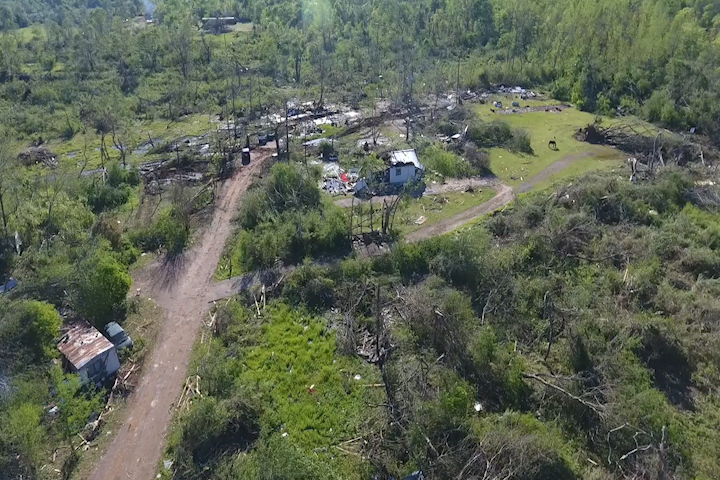 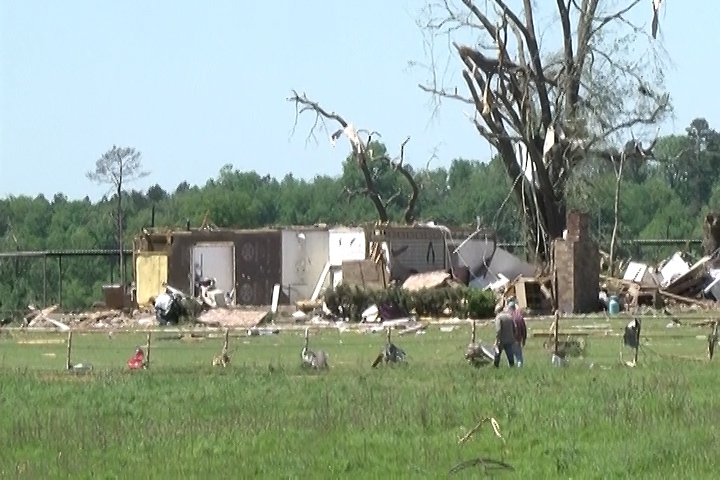 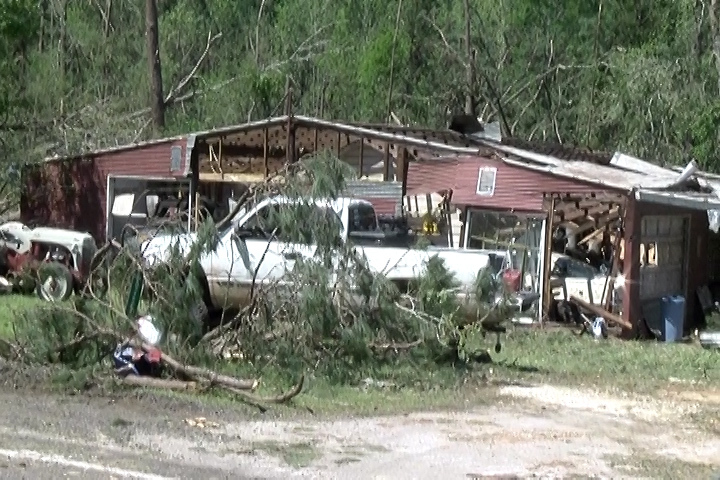 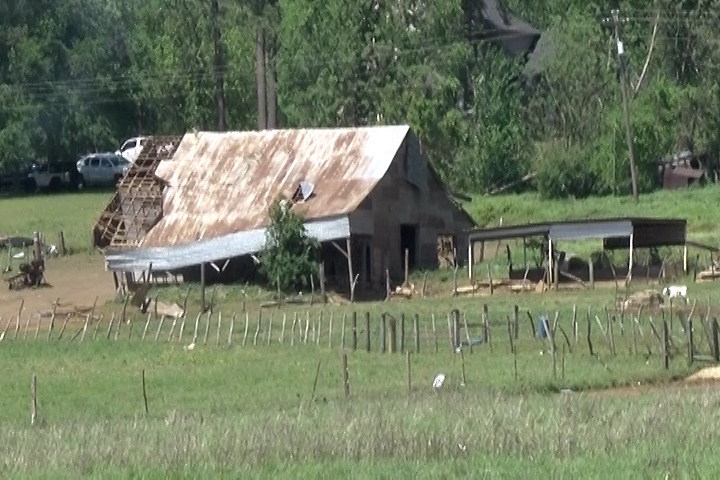 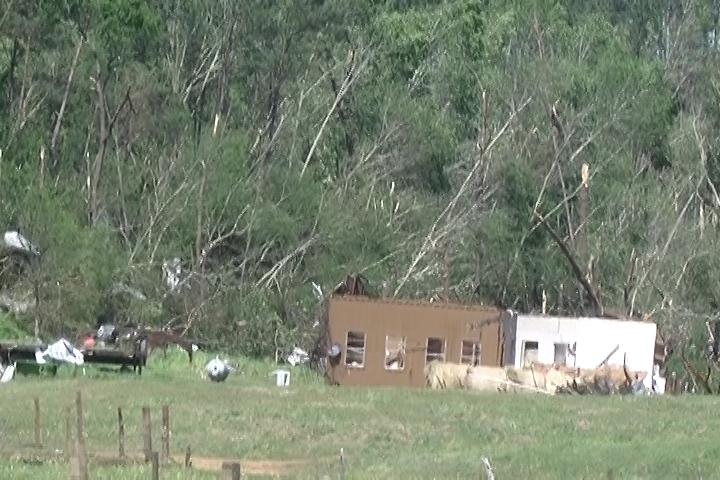 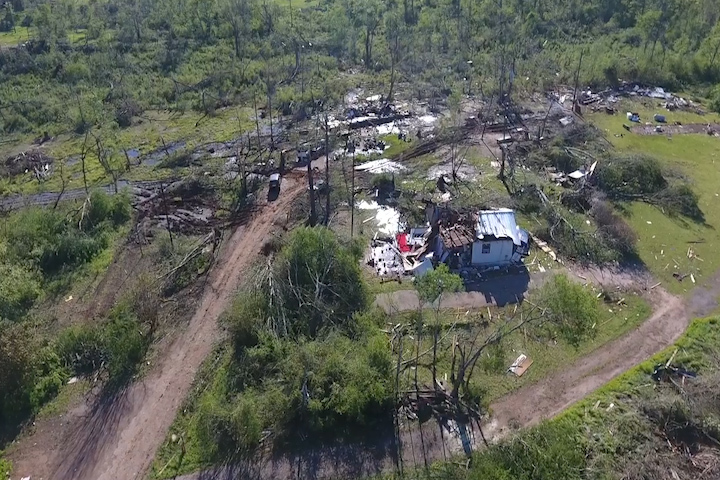 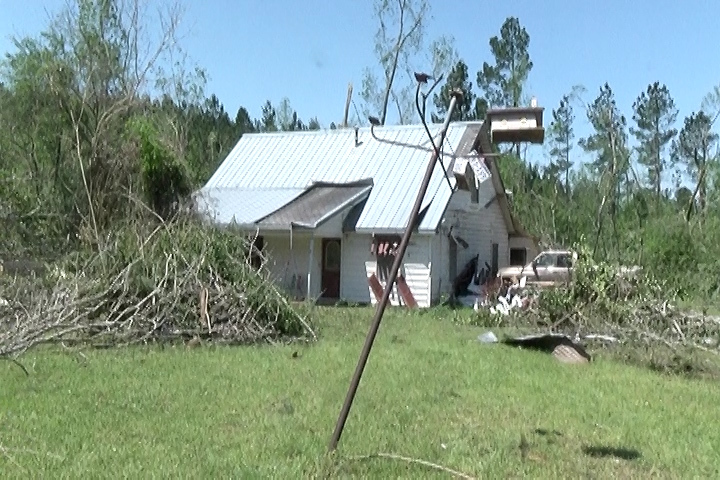 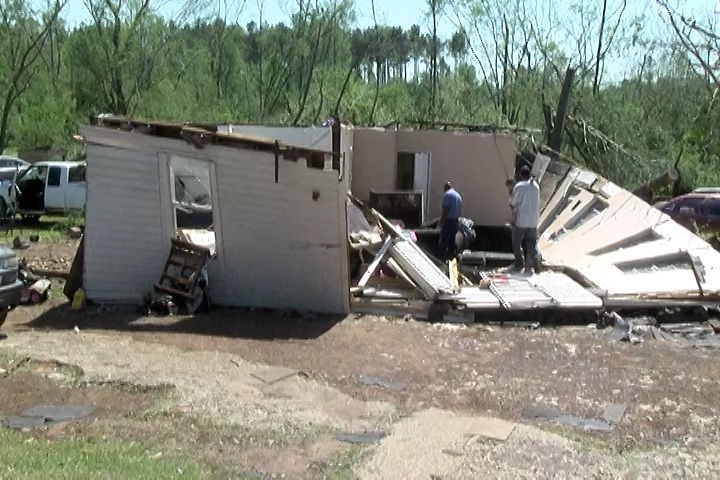 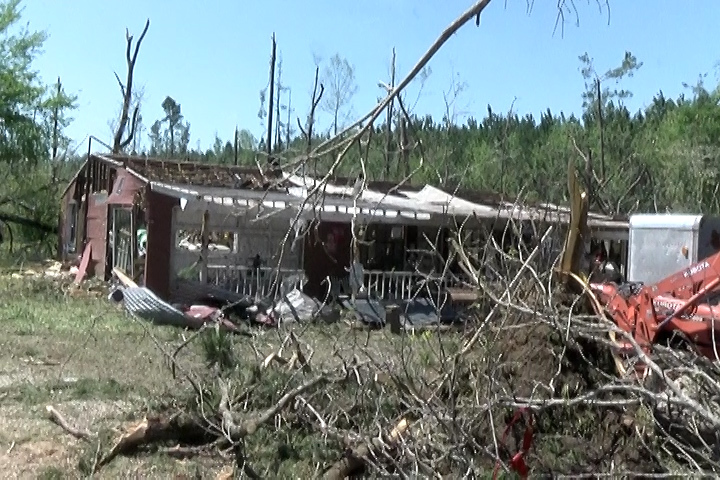 Many homes in Alto itself were destroyed or damaged. 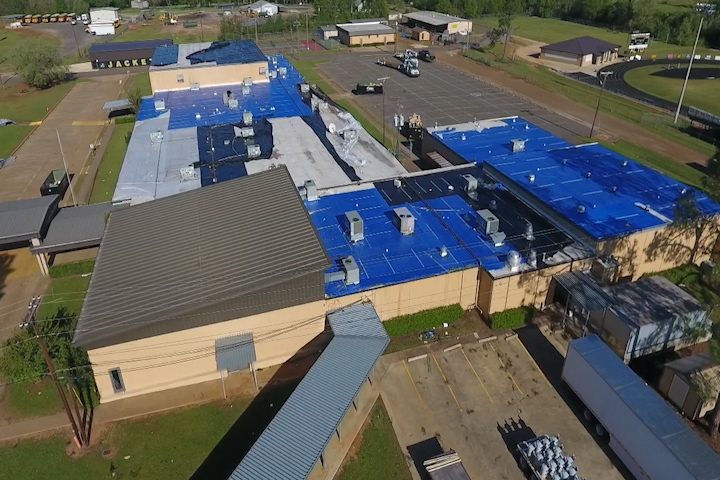 Blue tarps on many, others gone or almost gone. 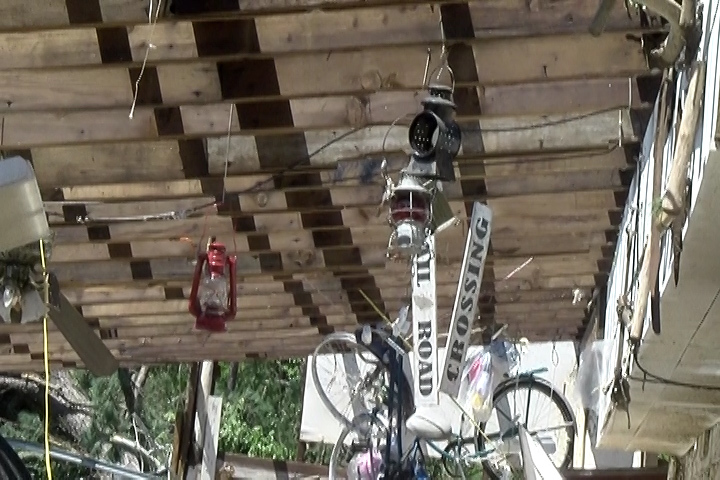 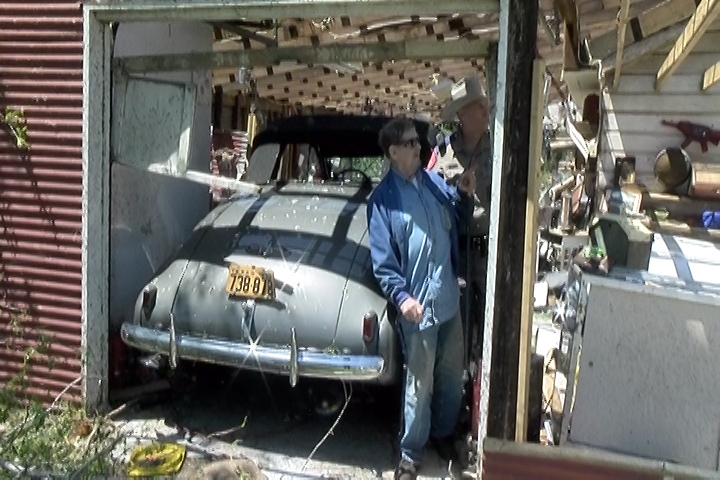 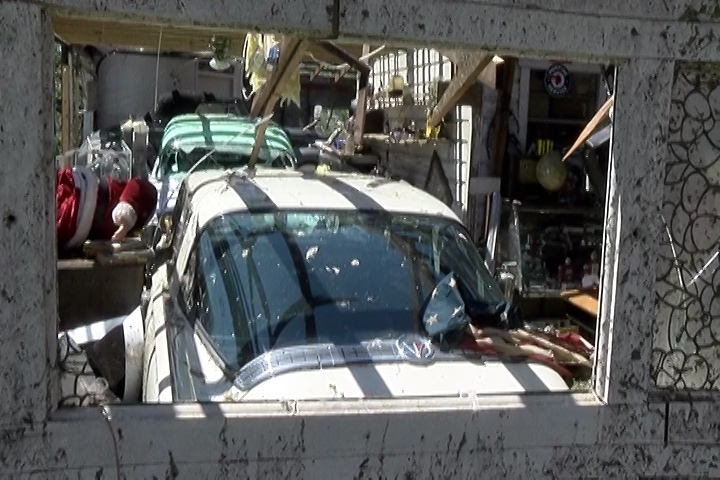 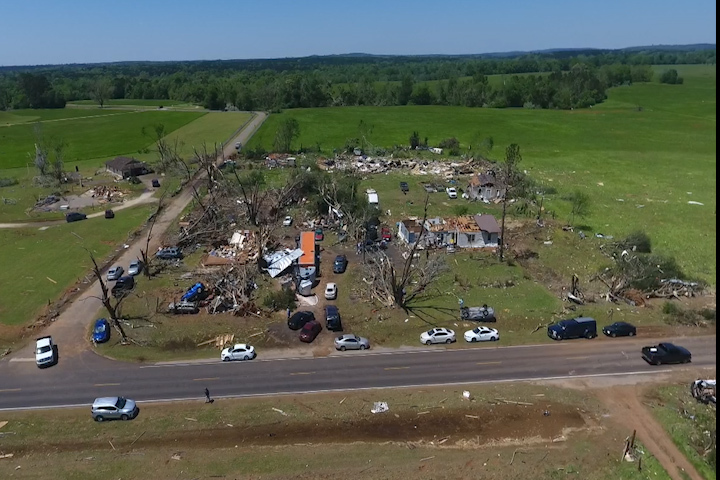 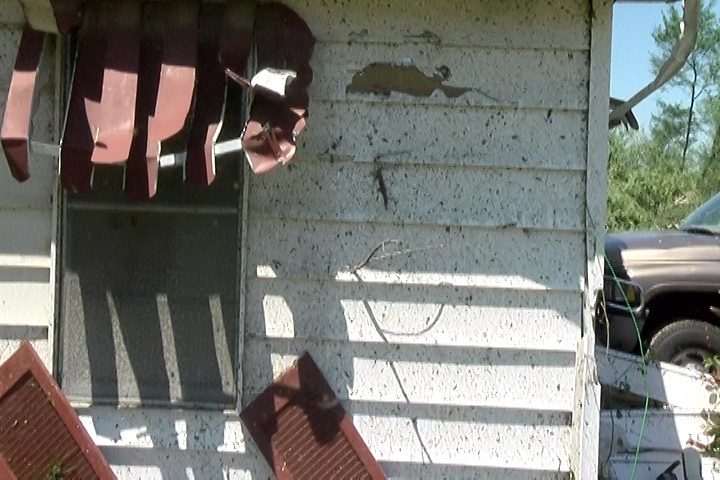 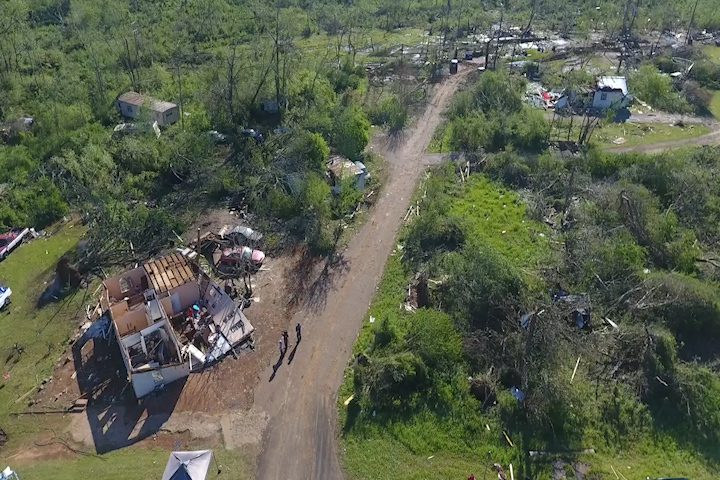 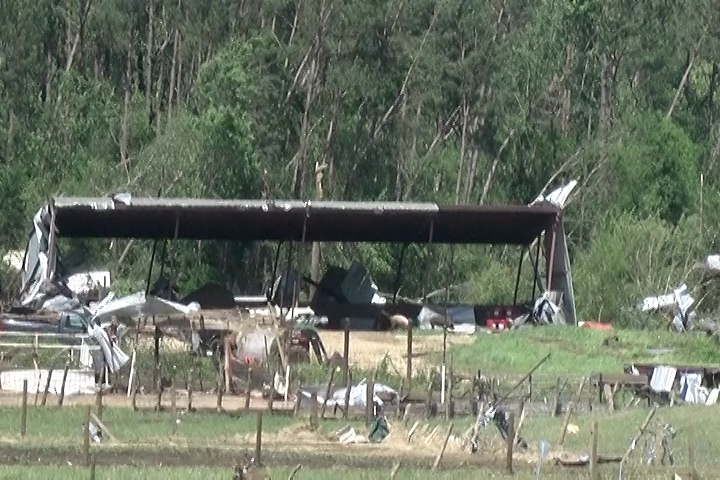 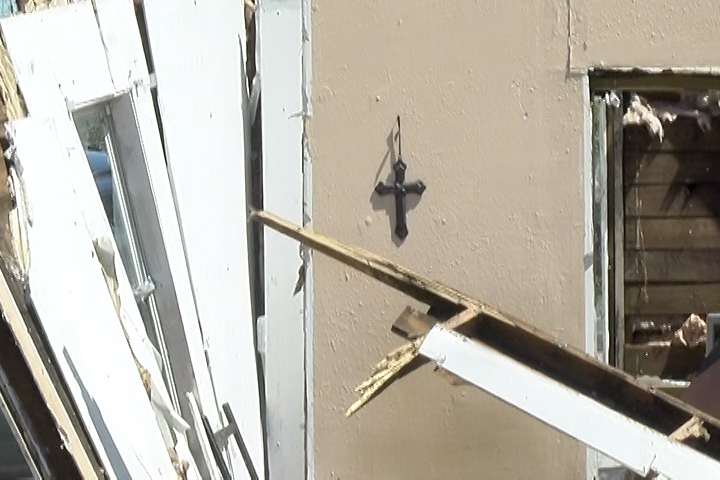 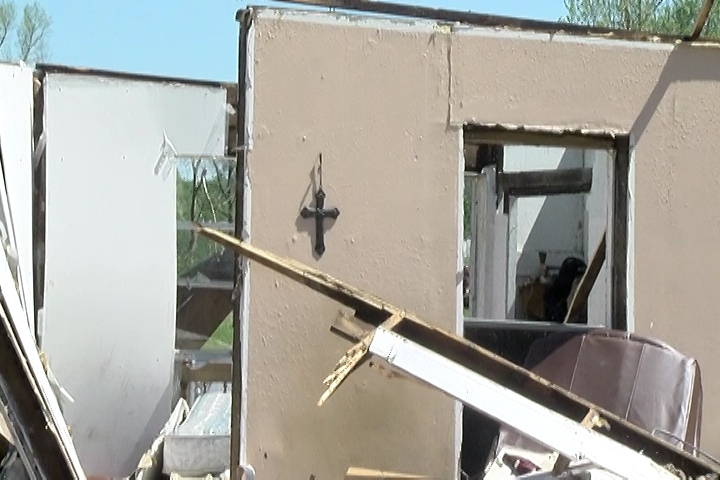 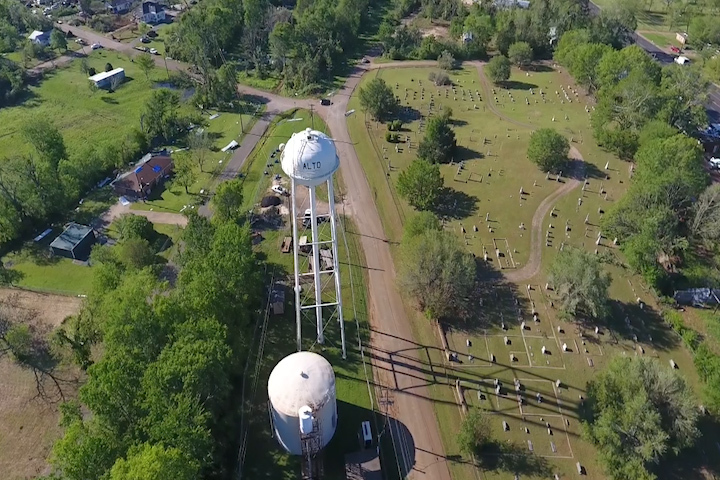 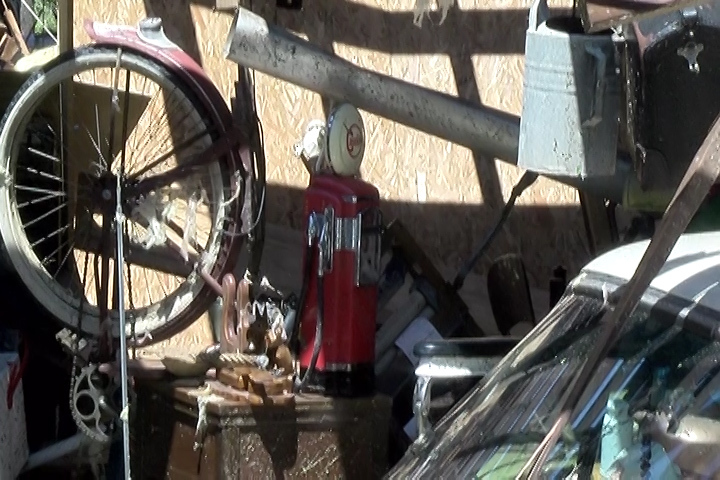 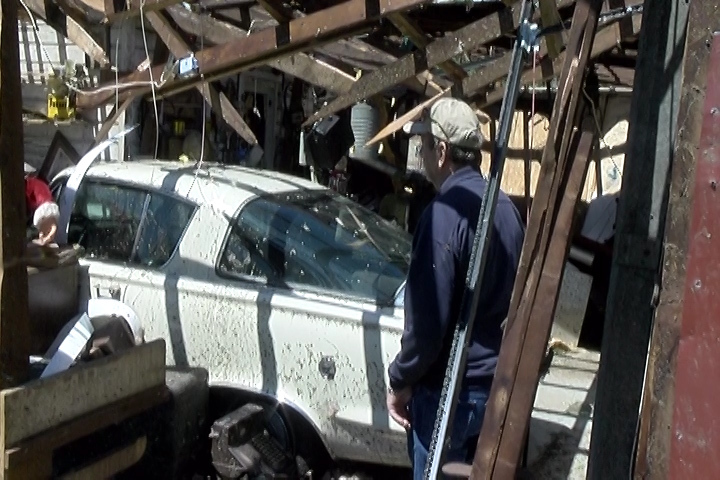 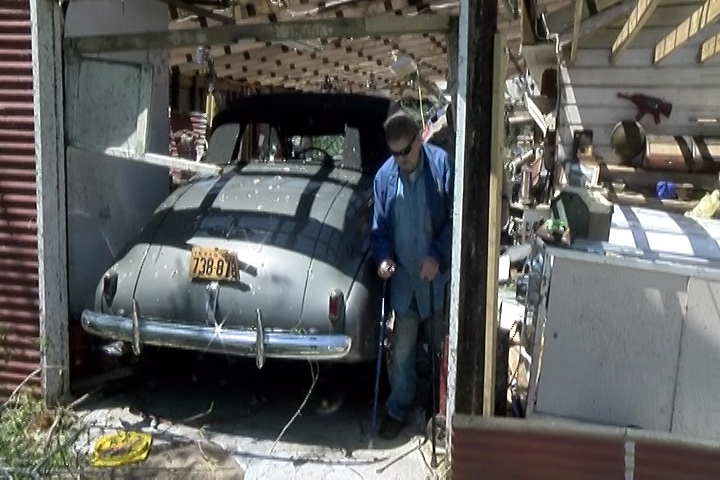 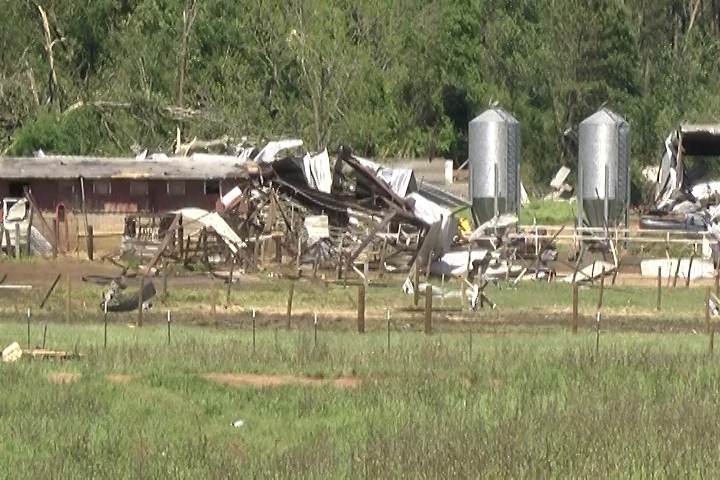 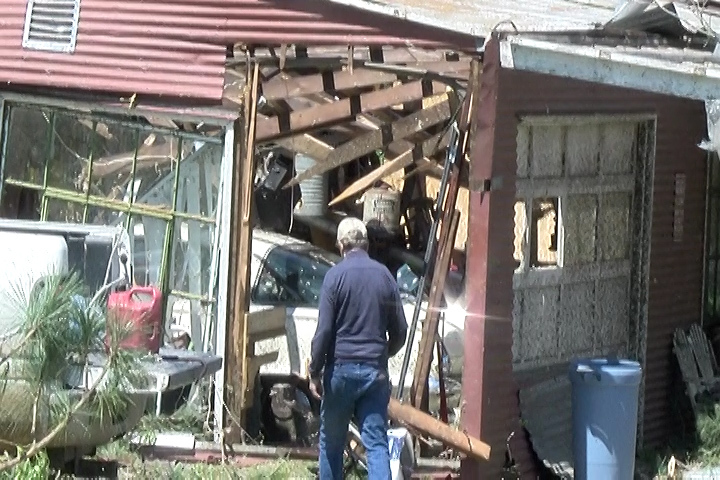 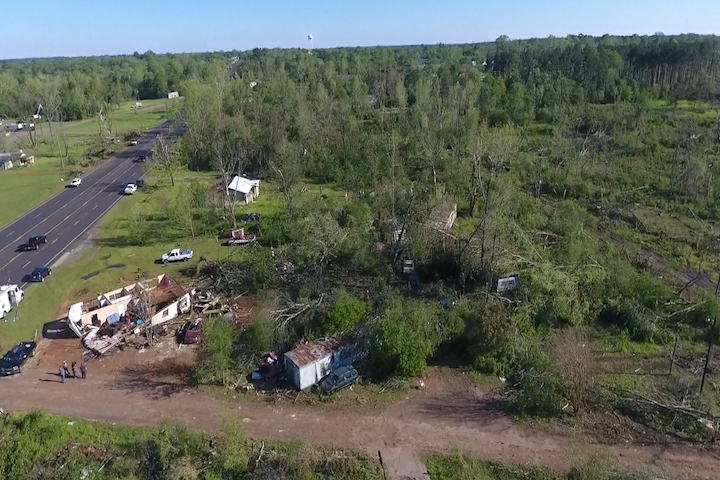 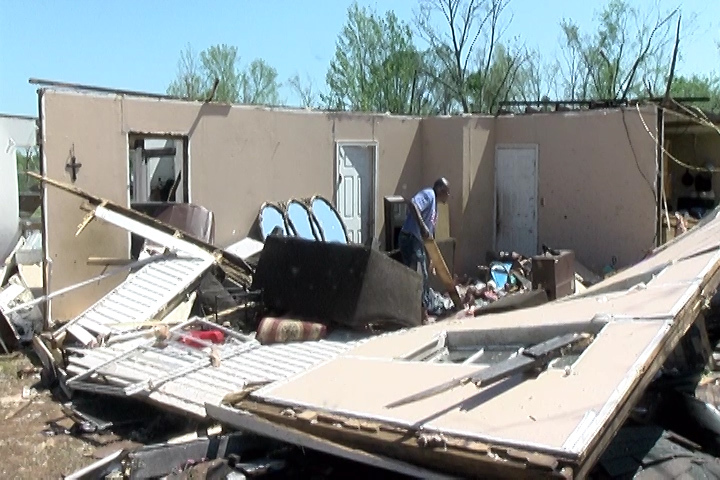 The Alto Police Chief estimates at least 150 homes in the town of 1200 were badly damaged. 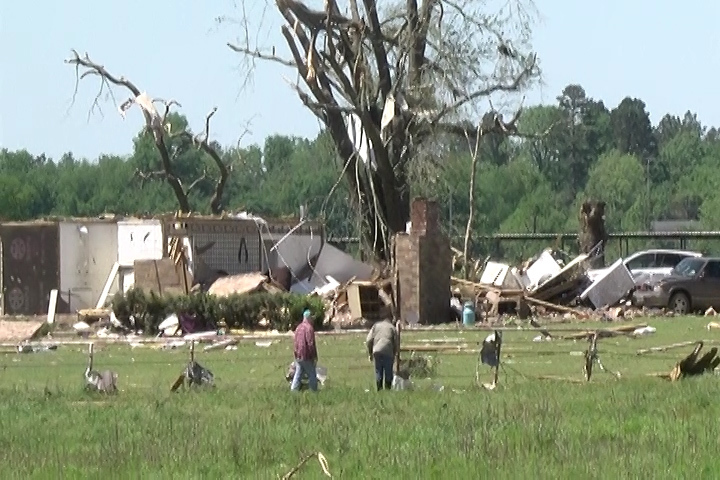 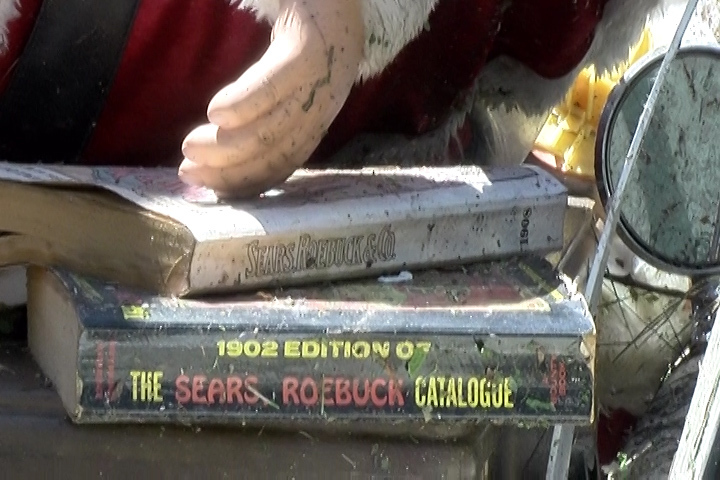 At least 25 in town were completely destroyed. 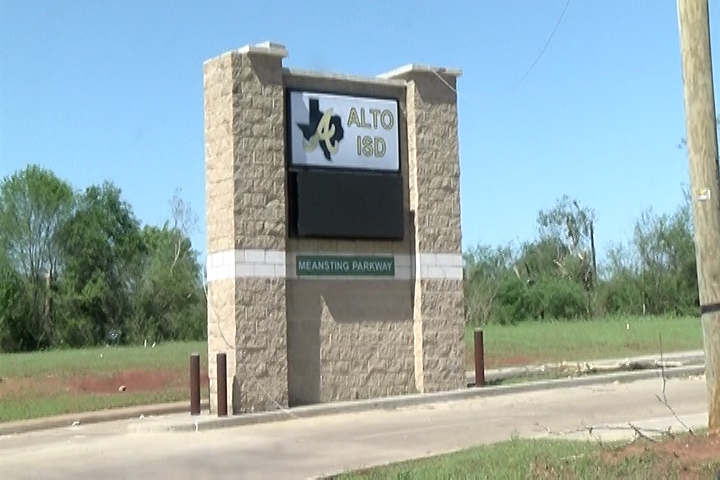 All the schools in alto are in one area. 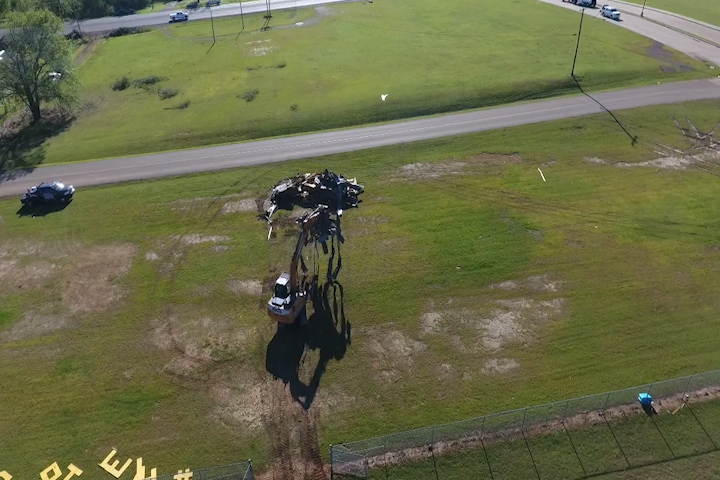 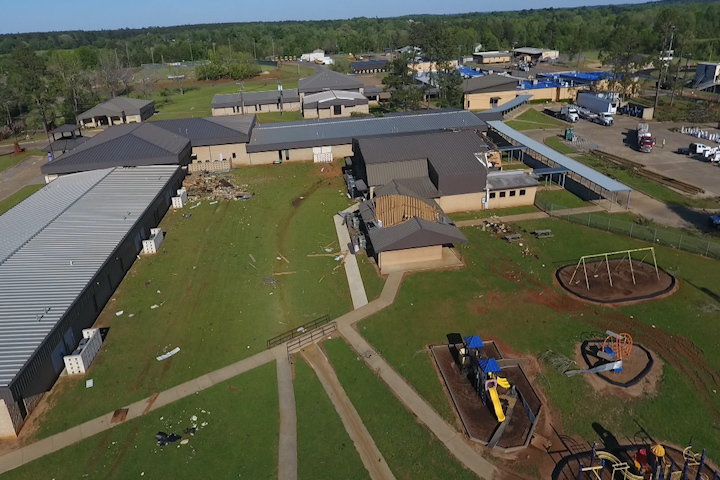 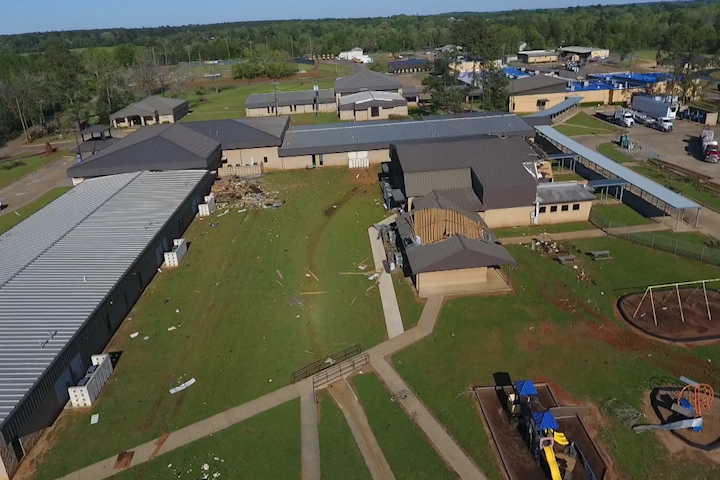 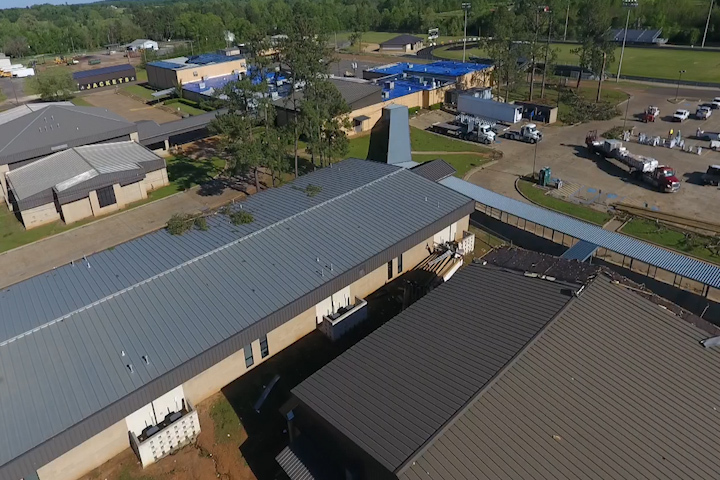 The High School had the roof lifted from it and put back down. 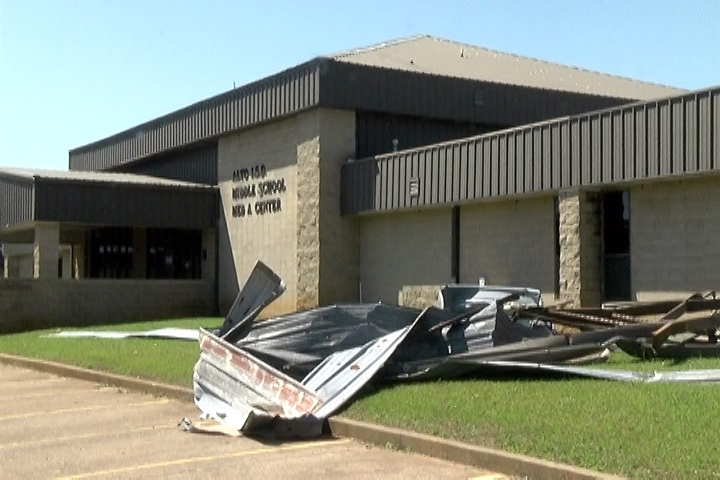 THe Elementry has structural damage as did the gymnasium where a wall collapsed. 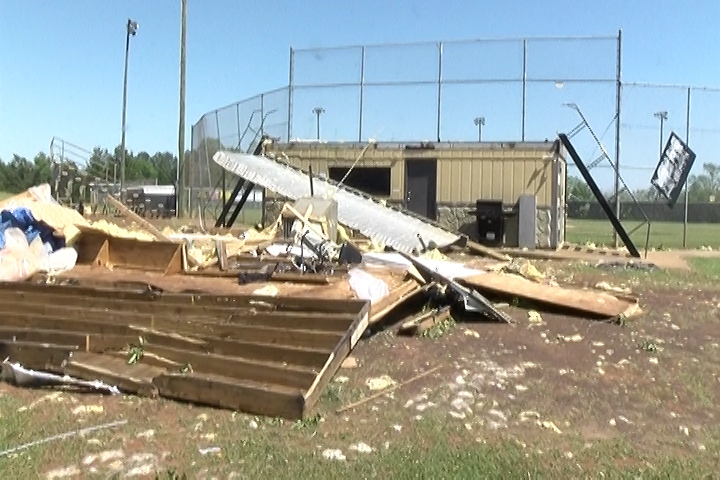 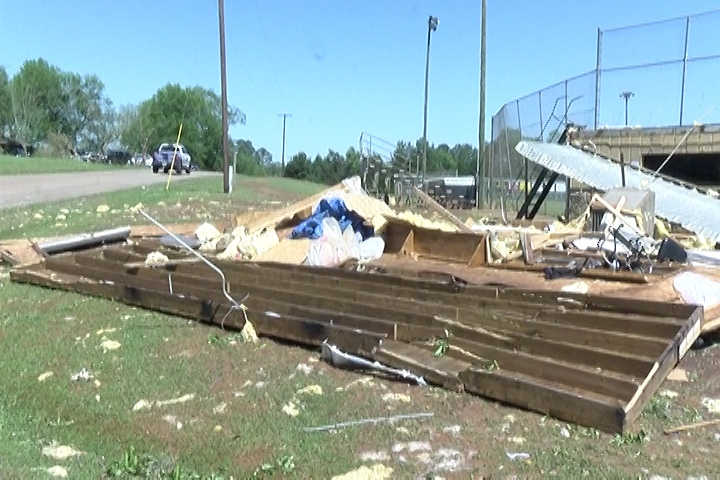 The baseball field suffered major damage. 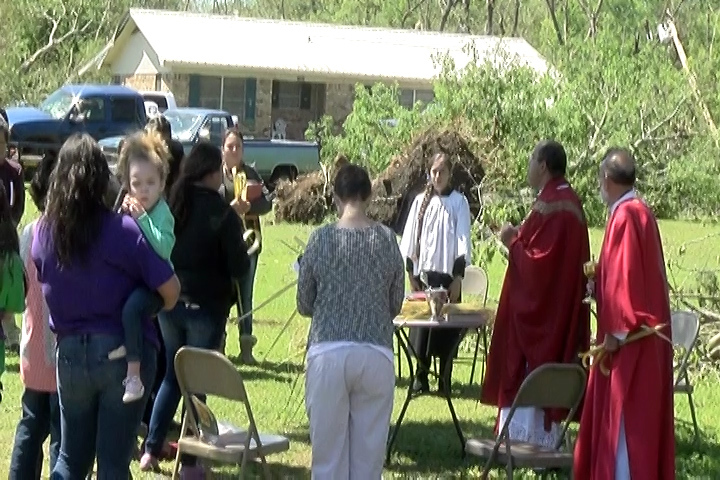 Many churches were without power on Palm Sunday. 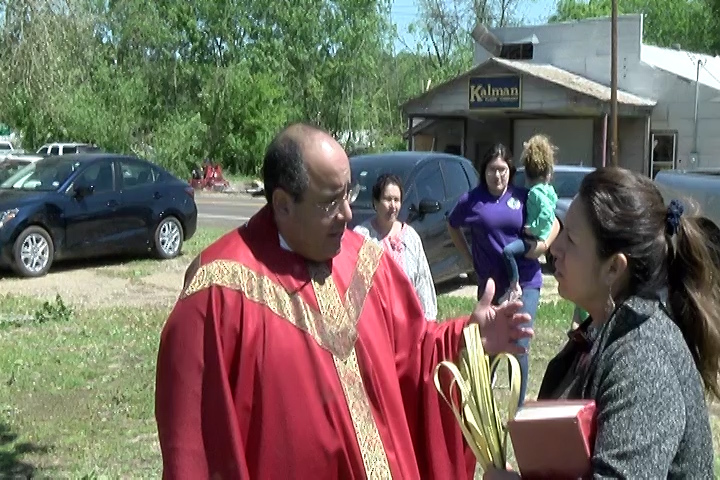 Services were held outdoors. 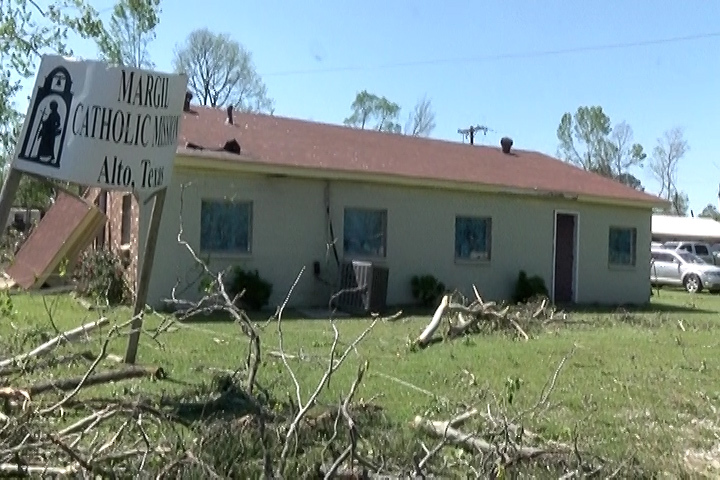 Several churches were turned into shelters. 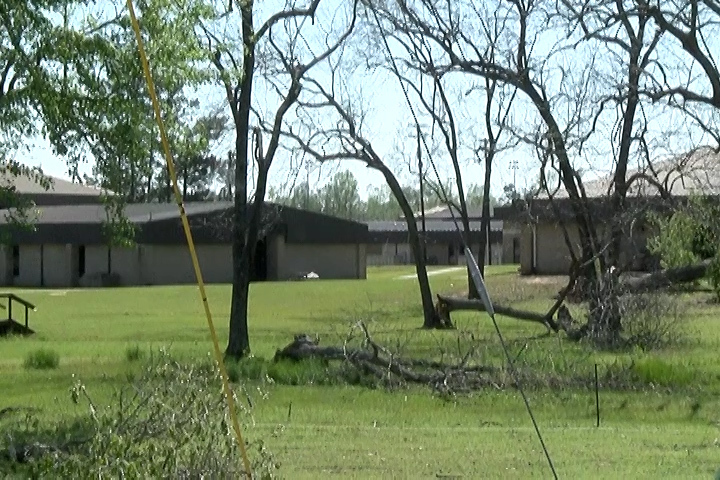 According to the Alto mayor residents just started recovering from the severe hail storm just 7-days before the tornado. 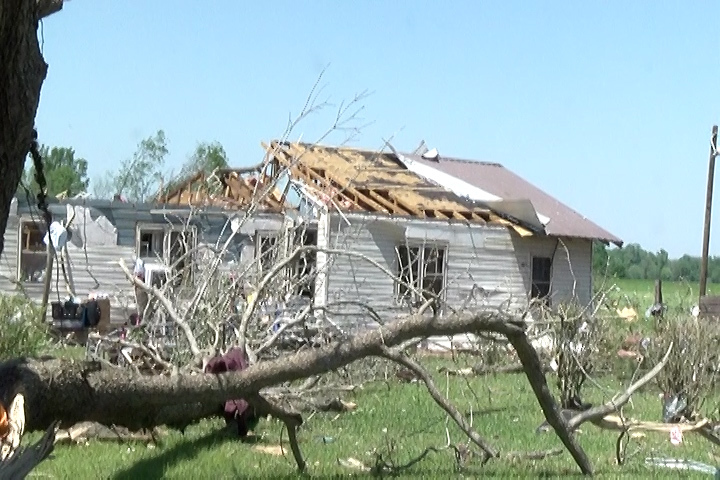 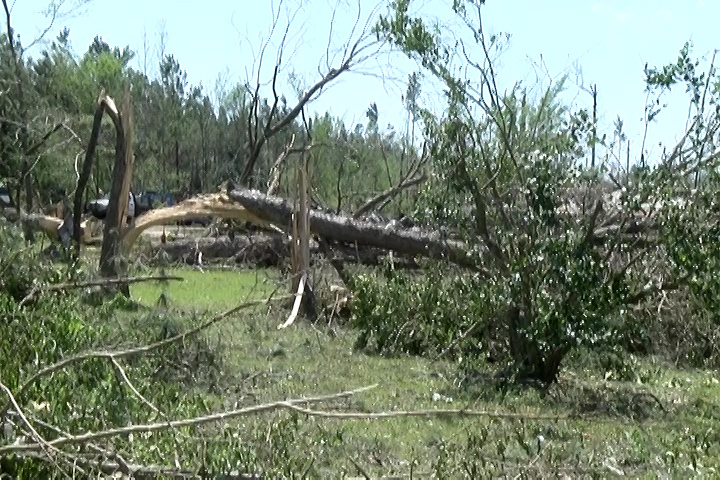 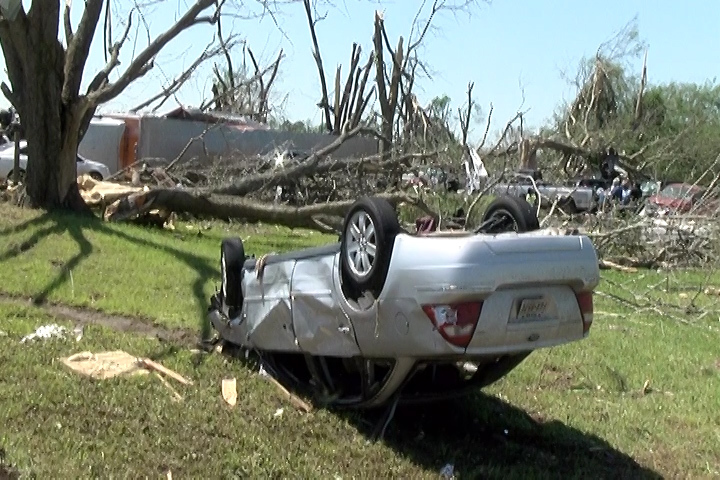 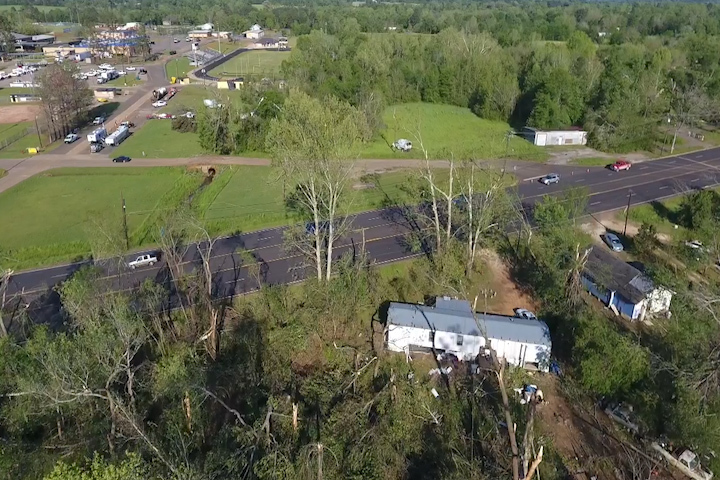 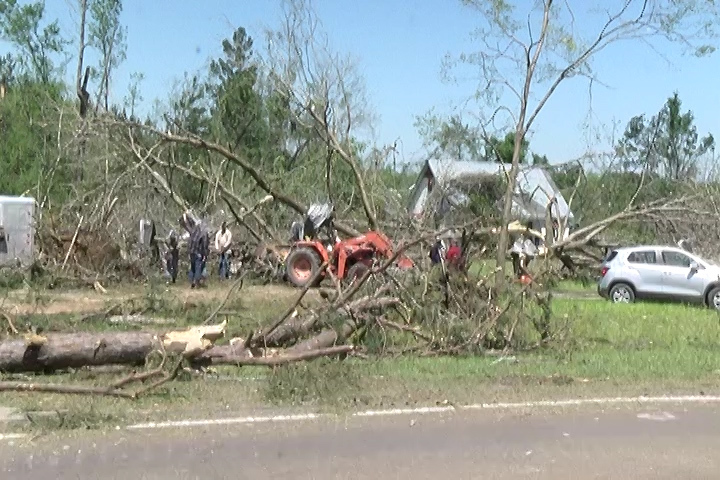 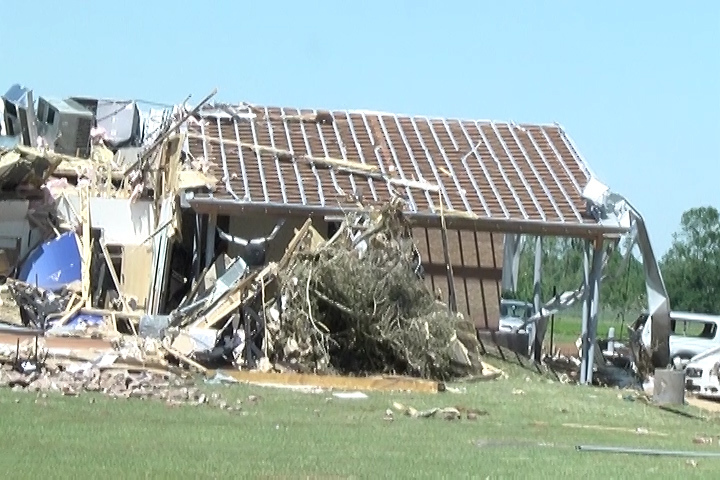 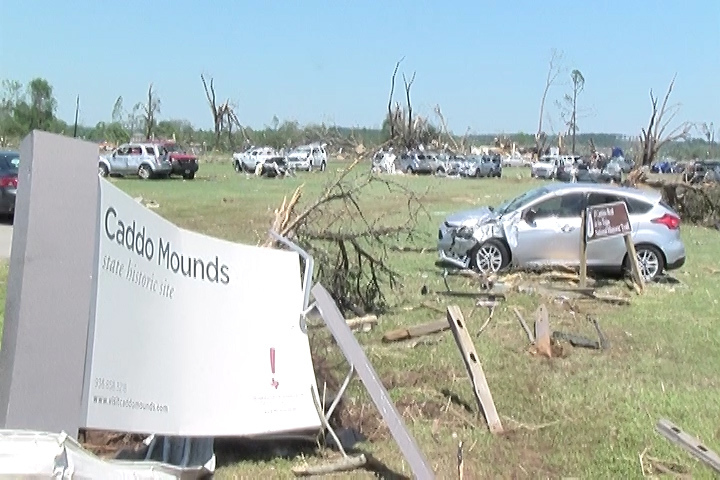 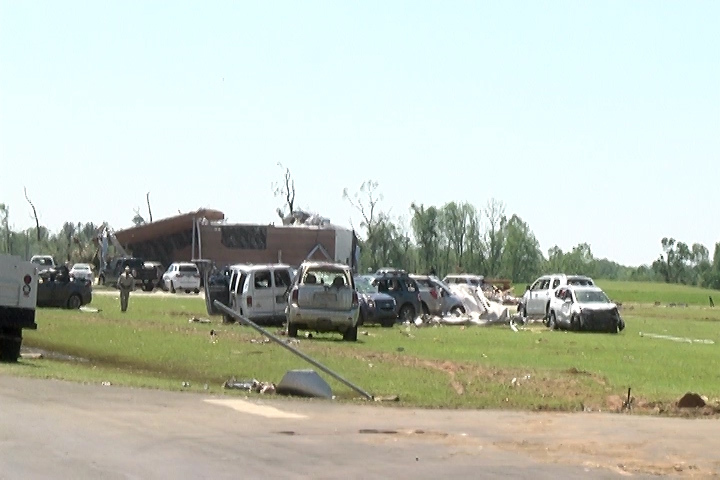 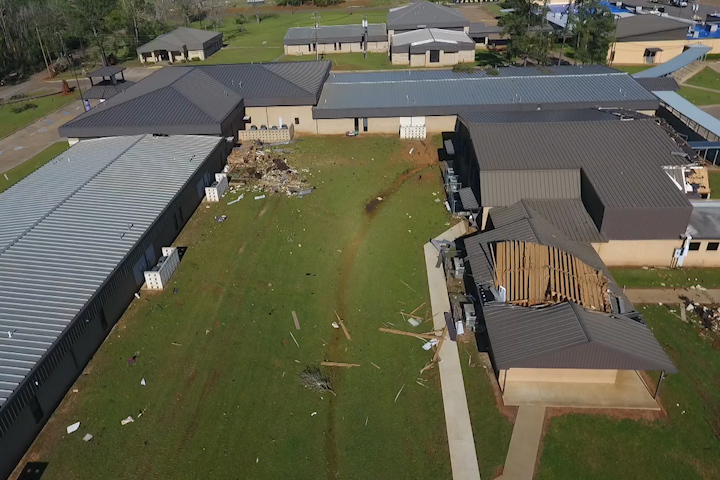 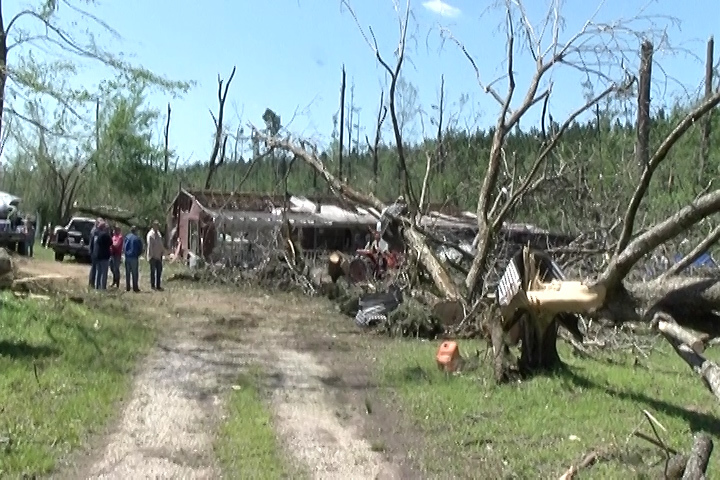 The Alto Police Chief said there were three tornados within a very short time span. 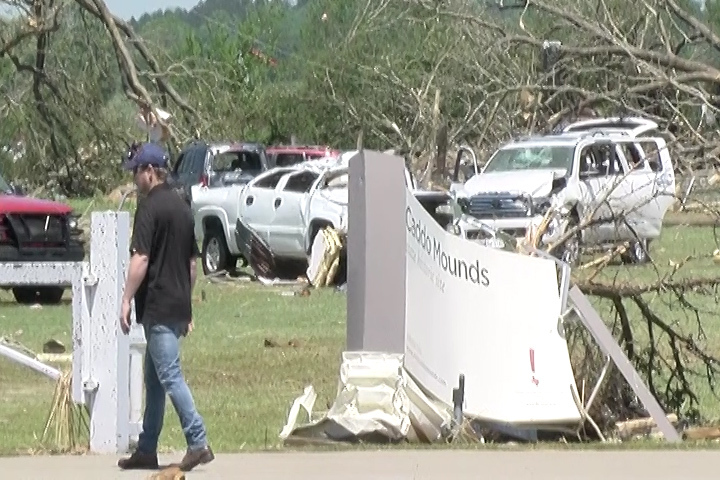 Bancorp South Bank has a relief fund set up for monetary donations under Alto Relief Fund. 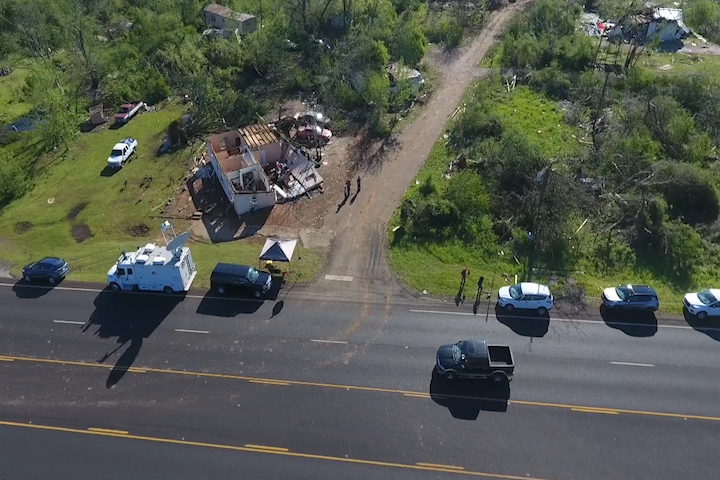 Prepared food needs to go to The River Church on Hwy 69S and supply donations go to Alto Missionary Baptist Church on SH 294.